I am not fond of giving unsolicited advice, I almost never welcome it, although one should be open to internalizing constructive guidance when sincerely offered to us. And writers of any kind need editors to help us spot mistakes in our articles and improve format and content. But I do have some experience writing about science for the general public. Occurrences that I can share with all. My first article (1987), for El Comercio, explored the impact of aggressive shrimp-farming on the pristine mangrove ecosystems of Ecuador. The piece summarized a hands-on and in situ research project conducted as a biology undergraduate. Not only did it ignite my interest in investigative coverage, but led me to editorialize –ever since– on science, technology and the environment. Twenty-plus full-page reports –text and pictures– followed up to 1993 in Diario Hoy (another leading newspaper in Quito) and wildlife magazines. When I came to the United States to attend graduate school, I contributed 35 op pieces to El Popular (1996 to 2000), the foremost Hispanic newspaper in Toronto. Over time, I transitioned to writing almost exclusively in English (my second language), which has its own science etiquette, quite distinctive from Spanish. But English has an advantage, it is the currency of modern science. It is an idiom of exploration; anything goes. Unfortunately, junk-writing is also part of this trial and error. 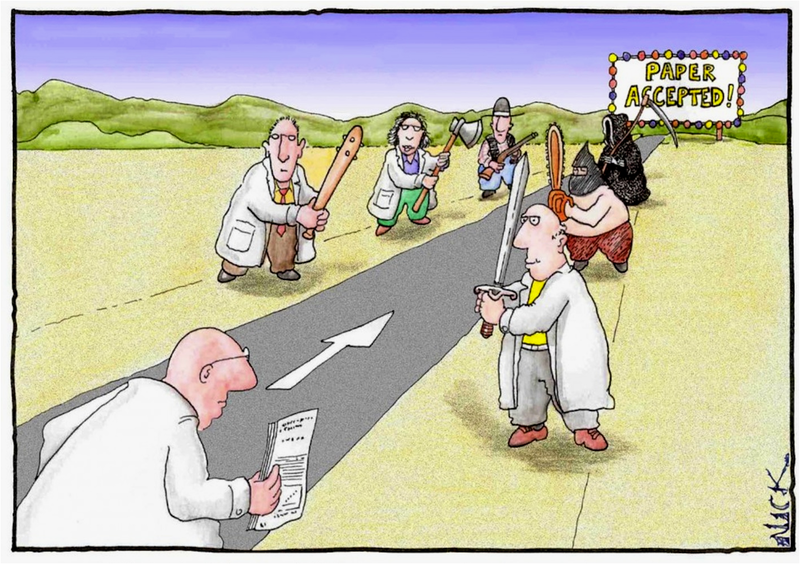 Writing about science for the American readership –lay or specialized– is always a challenge. The landscapes (e.g. editorials, chronicles, reports, notes, blogs), styles, theme trends, and audiences’ interests change constantly. The internet has brought dynamism to sharing science news, via imaging (photos and video), more than text, or in short reports (150 to 300 words, rather than the usual 600 to 800 expected by publishers in the past), and quick and dirty delivery. The latter is a powerful temptation that a cautious columnist should avoid. 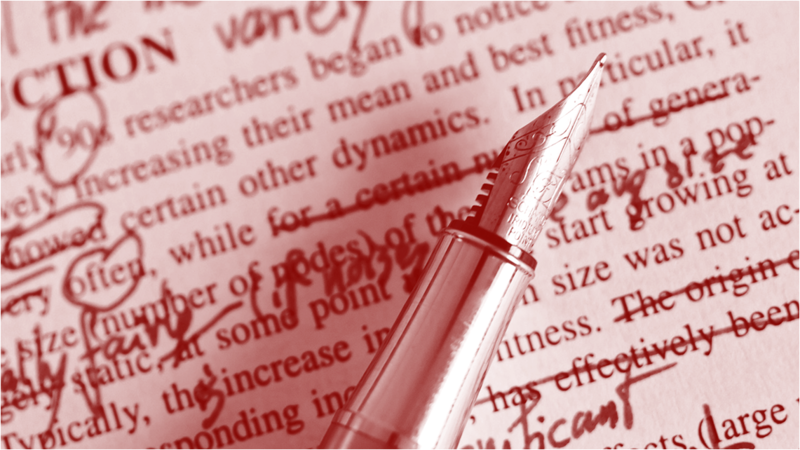 Proofreading marks were used in the past for copy-editing scientific manuscripts and articles. 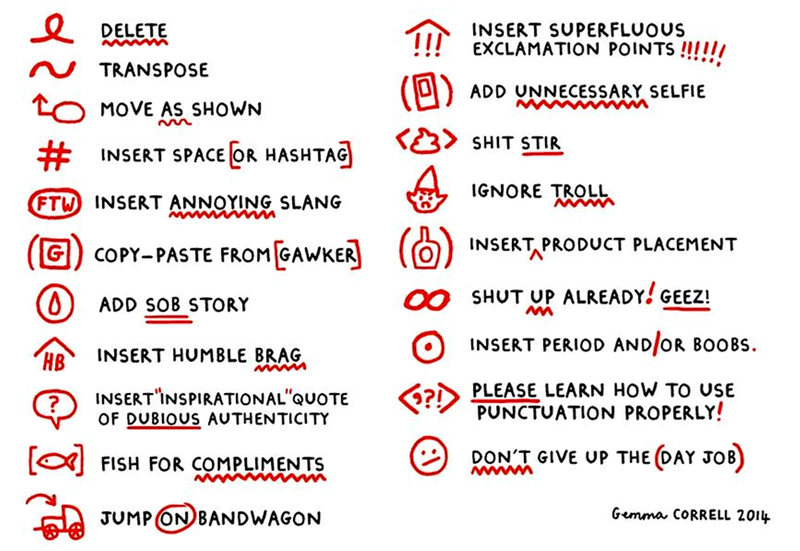 They are extinct nowadays (the image shows a humorous version of proofreading symbols broadly shared in the social media). The edition and copy-edition of manuscripts is currently done automatically on computers and online servers. Still, human intervention is needed. Before advancing any further, note that I do not consider myself a science writer, although I have been called “science journalist,” as an insult, by a rodentologist incapable of graceful interaction with people. But, I am a biologist who happens to write about science. I come from a background of journalists (my grandfather, father and a sister), essayists (two brothers who are professors in academia and regular contributors to newspapers), and a novelist sister. Plus, my father’s line run, for decades, a publishing initiative. Books were around us. Still, my only assertion here is that the publication process, from paper to ink on it, or to the sorting of pages and final binding of volumes, is the foundation of my cultural imprinting. A good, skeptical eye is essential in a writer, and this can be acquired by training. In my case, I worked as a copy editor for the journal Biotropica while I was a graduate student and, later, a postdoc (1996 to 2003). I revised 80 manuscripts by world authors and on multiple subjects. My responsibility was to find mistakes (typos, grammar errors, non-sense sentences, contradictions and, occasionally, bring content issues to the attention of the editors). That experience taught me to minimize the errors I still make while preparing scientific papers and perspectives. Perfection is never achieved, only sharpness to spot what seems incorrect and improve the outcome. And not to forget, I was also production editor and copy editor for Animal Behaviour (2001 – 2003), something I remember with mix feelings: although I did not revise as many manuscripts as for Biotropica, the AB Editorial Office in Indiana passed on to me difficult, long manuscripts, loaded with problems, arid science, although written by famous ethologists. In retrospect, I am grateful to my colleagues for the tedious assignments, and for forcing me to examine unpolished papers. The skill of spotting mistakes shall make anyone a better author. From 2003 to 2012, I became founder editor of The Conservation Behaviorist, a biannual periodical of the Animal Behavior Society’s Conservation Committee, which I chaired for three years (2003 – 2006). I edited and produced, from scratch, each of the issues of the ten volumes published during that decade. What I value most from that activity is that I discovered how to adapt the texts submitted by scientists —in the interface animal behavior / conservation biology— to a media-friendly format, language and delivery. I spent hours reshaping the prose without changing the intention of the writers or the scientific accuracy of their proposals. And that is key in science writing. One must avoid the pseudoscience trap, sequel of adopting language that feeds the readers’ unsophisticated comfort zones, at the expense of hurting scientific rigor via distortion. This malady is widespread in the work published in major newspapers, magazines, blogs and social media. Here is an example: claiming that naked mole rats are “cancer free” is not only falsehood, but it does not make scientific sense (i.e. relative lower incidence of cancer in a given organism, in respect to others, including humans, does not mean cancer-immunity, nor its absence; UPDATE: for a comprehensive review see Cancer Across The Tree of Life: Cooperation and Cheating in Multicellularity). As much as it was questionable, when in the 1990s, the “shark- cartilage pill industry” made a fortune ecociding sharks, milling their dried skeletons and selling “miracle powder” in anti-cancer capsules for the pro-natural-medicine ignoramus. Science writers must not fall in love with inaccuracies or fables like these. The point here is that, by being an editor, one can learn to honor science, respect its integrity rather than allow free ride to sensationalism by promoting “breaking news” soon-to-be debunked. The Network of Science Communication. The pseudoscience trap is inherent to networking. Science writers must not fall in love with inaccuracies and fables (image iStockphoto/Thinkstock). You do not need to please everyone, particularly family, friends, colleagues or supervisors. Actually, it works best to stay away from their never unbiased reviews (except if they are writers themselves). But it is important to define the type of science writer you want to be, and develop a style with which a readership identifies you. When I wrote my initial op piece for The Standard Times in 2010, it was welcomed instantly, but two subsequent editorials were rejected. I spoke with the Editor in Chief and persuaded him that we needed to develop –together– a readership for the types of articles I would offer: an analysis of science topics with my personal take, rather than a report-story vast in empty phrases like “scientists say” or “according to researchers” or “in the opinion of experts.” Reluctantly, he agreed and months later we enjoyed the interaction with the readers and their feedback; positive and, sometimes, disapproving. The Standard Times and I published 28 editorials (2010 – 2015) under the “Your View” column, thus conveying that I, as a writer, was one more member of the community, discharging from the inside my criteria and views about dissimilar or related topics, including: the relevance of curiosity-based research, the anti-vaccine movement, the collapse of basic science under the for-profit model, the scientific challenges to the reputation of the Stradivari violins, the wrongly called God-particle (Higgs boson), or the false beliefs in faith healing (for complete access to articles go to publications). Because pop science writing lacks the editorial process of a scientific article, it is tempting to avoid fact-checks. Editorial reviewers of newspapers and magazines pay more attention to the journalistic aspects of the story than to its scientific accuracy. Many science writers have a bachelor’s or master’s degree in the humanities, with some training in science and technology (note that this is evolving and today’s media firms hire contributors with graduate certifications and previous experience in the job). If they possess a doctoral degree, it often lacks the postdoctoral practice that a recently-graduated student needs. And if a postdoctoral training is under the belt, the exercise of peer-reviewing (or being peer-reviewed), editing, publishing and, most importantly, reading thousands of scientific papers is just not there. Not only science writing is difficult, but also reading and correctly translating what the scientists communicate in their publications. Cutting-edge research is usually understood by highly specialized investigators. The best a science writer can do is to seek the original source and obtain interpretations of findings directly from the horse’s mouth. Do not rely, to write your own report, on other writers’ stories in the media. That will only magnify the error. And error magnification is the single most vicious and pervasive meme in popular science miscommunication. It is seeded and driven by the science communicator him/herself (including the press-releases from university campuses about their faculty’s discoveries) and feed-back-looped into society, creating a cycle of half truths rather than educating the public. If, as a science writer, you feel confident with your grasping of scientific papers, think twice. You are probably wrong. Principal investigators all over the country read the same articles you claim to understand and discuss them in journal clubs with colleagues, postdocs, and graduate students. They dissect the articles to a level of extreme, yet fine criticism and end up comprehending the experiments, the math and statistics, the theoretical context and significance of the studies. If they struggle collectively in this effort, what makes you think that you have it clear? In addition, writing hundreds of 300-to-600-word notes about science is not equivalent to preparing a single peer-review publication for a scientific journal. If you do investigative coverage, which might take days, weeks or months (to confirm the veracity of the info), any average science writer could surpass you in production by spawning hourly articles. It is up to you, therefore, to publish well-documented perspectives or copious shallow reports. 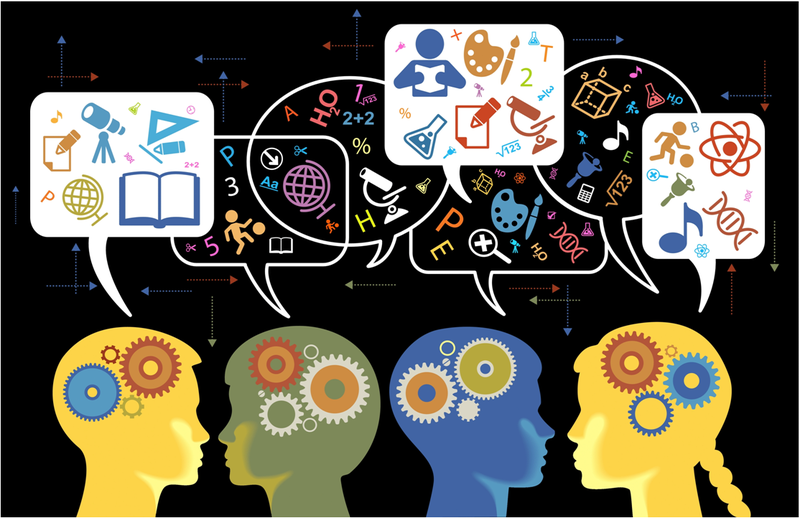 Society needs science communicators, and science writers are crucial in this respect. But be realistic, just examine the turnout of science writers at any major newspaper or magazine (info available online under “contributors”), and realize that, after a few years, the entire staff might have crossed the revolving door. Although there are still more job opportunities for science writers than for TV or documentary anchors. Writing for radio is also an alternative, yet with limited employment. Freelancing, therefore, shall be your probable route. Obtain the highest education possible and dismiss the notion to not pursue formal schooling and, instead, “learn on the job.” The latter is damaging advice, usually given by people without specialized education, or by those who benefit from your unpreparedness. If you actually get the job, you will always “learn the praxis” while on it. But you will never compensate, “on the job,” for the formal education you missed. Science, math and technology are not taught in the streets. 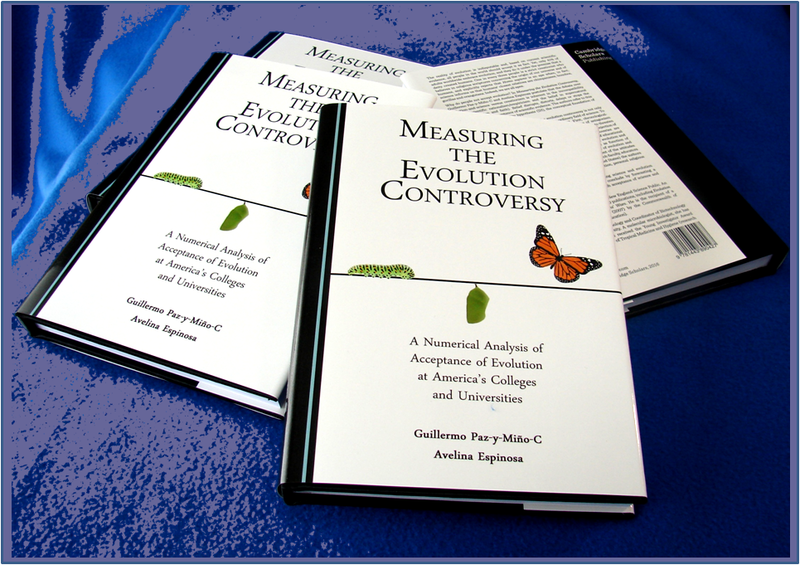 Read by far more topics than you can write about; develop a sense for science. Travel internationally to scientific meetings and try to understand the cultural contexts in which science is done elsewhere; this could be difficult since we all see the planet through parochial preconceptions. However, modern science is done collaboratively and international partnerships are ubiquitous. Writing from home will keep your mind at home. Write about science itself, rather than people in science. Do not celebritize individuals, but grant credit to all who deserve it. Do not become enticed by the ivory-tower institutions as the sole source of science stories to report; that will turn you into a snob writer. And remember that a good science tale should be good by itself, no matter its origin, but only a good story teller would make it shine. Science writing can be art or artistic, profound and beautiful, but also commercial and prone to “likes” and “shares” in the social media, which are addicting. If you want to “go viral,” then consequential science communication might not be the path to take. It is not for you. After all, the most significant science books and articles for the general public are written by scientists (some in collaboration with reporters), not by science writers. But you can create a niche for yourself as science communicator-facilitator in a way that servers your local community and society. — EvoLiteracy © 2016. Acknowledgment: I thank Avelina Espinosa for editorial comments and feedback to improve this article. 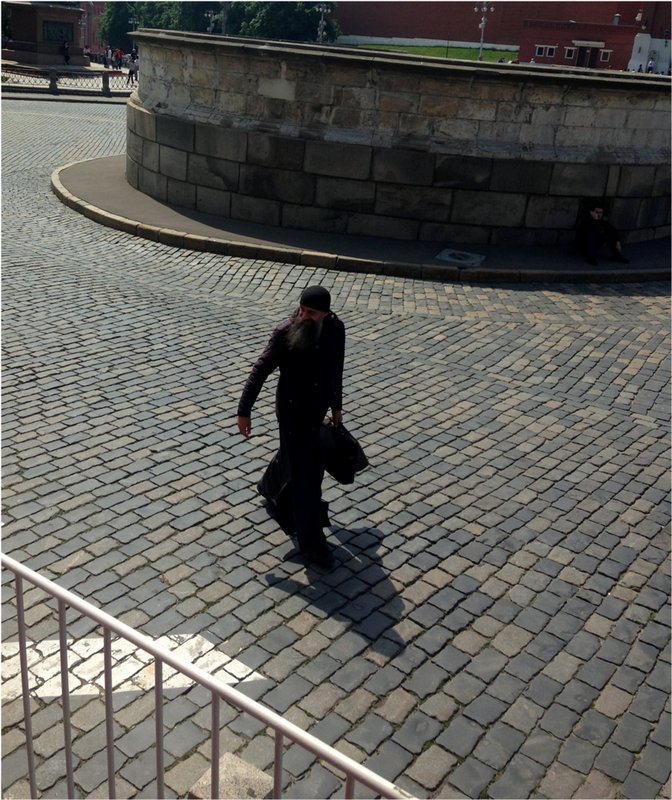 “…There is so much history in Russia, a cultural legacy for the world. Its splendor is overwhelming. The fantasy in the architecture of its cathedrals and palaces; the colors of joy on its paintings; the ballerinas dancing in the snow at the tempo of always original music; the transcendent prose and verse of its writers, above all –to me– the perfection of Tolstoy’s Anna Karenina. A nation of great contrasts like all mega homelands. Of imposed extreme inequality and oppression by its past ruling Tsars, shamelessly sheltered by the co-conspirator Orthodoxy, the Church and its wicked Patriarchs, enticers of the populous. Its 1917 Revolution was inevitable, as it later was the Cold War with the West, which sequels still mark the divide between the peoples of Russia and ‘the capitalists.’ But what impresses me most of Russia is its capacity to have rebuilt itself after the significant obliteration of its land during World War II. Only a collective mind that treasures culture could reconstruct it, despite its 27-million casualties while battling Nazism. — One day, in the distant future, just before the subversive cells of my skin take over the rest of the organs and inflict their final harm, I would like to see the Russian Cathedrals again. Not because an Atheist needs conversion before death; that will never happen, I will always reject Fraud. 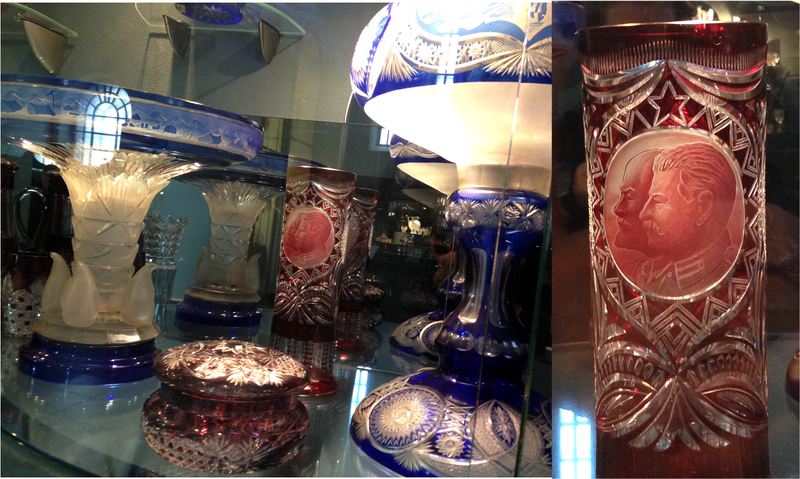 But because these ‘now museums’ represent the saturation of art-beauty that I have been looking for…” — GPC. 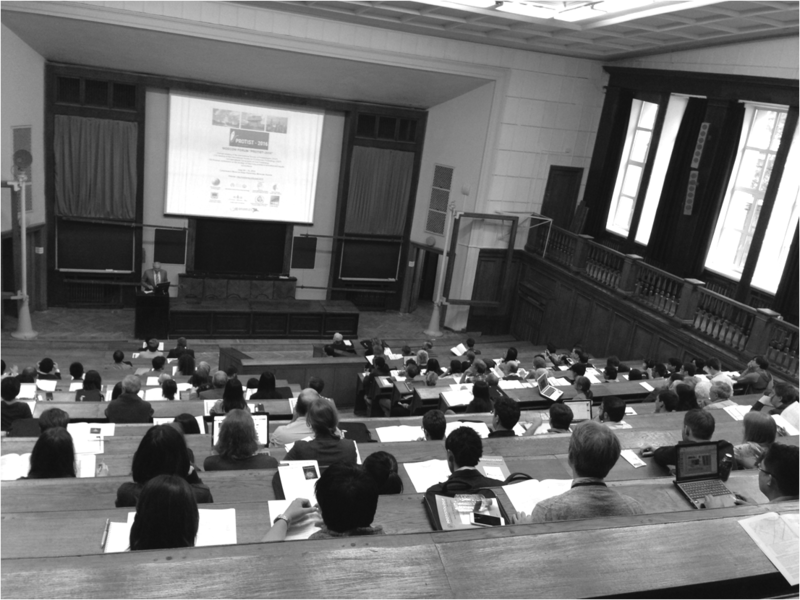 We just returned from Russia after attending the Moscow Forum Protists – 2016 held at Lomonosov Moscow State University, from June 6th to 10th. The program, sponsored by the International Society of Protistologists (ISOP), included five plenary sessions with keynote speakers, general oral presentations, two symposia (integrative co-evolution between mitochondria and their hosts, and protists of marine sediments), and poster presentations (two sessions with about 50 posters each) on diverse topics, including: evolution and phylogeny, taxonomy, systematics and DNA barcoding, genomics and molecular biology, cell biology, organismal biology, parasitology, diversity and biogeography, ecology of soil protists, ecology of aquatic protists, bioindicators and palaeoecology. The 200 participants had time to exchange ideas during informal, social gatherings. 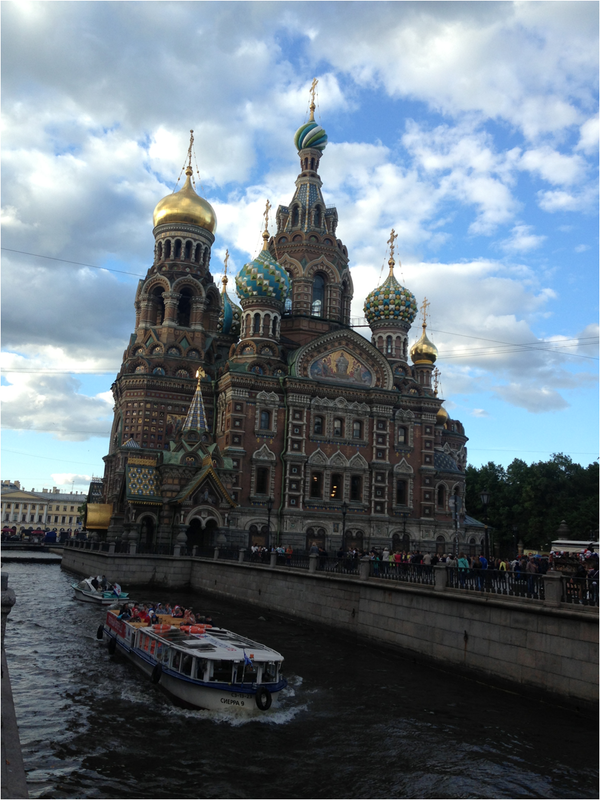 The meeting included a pre-conference trip to Saint Petersburg and a post-conference tour to the Golden Ring of Russia; we joined both. 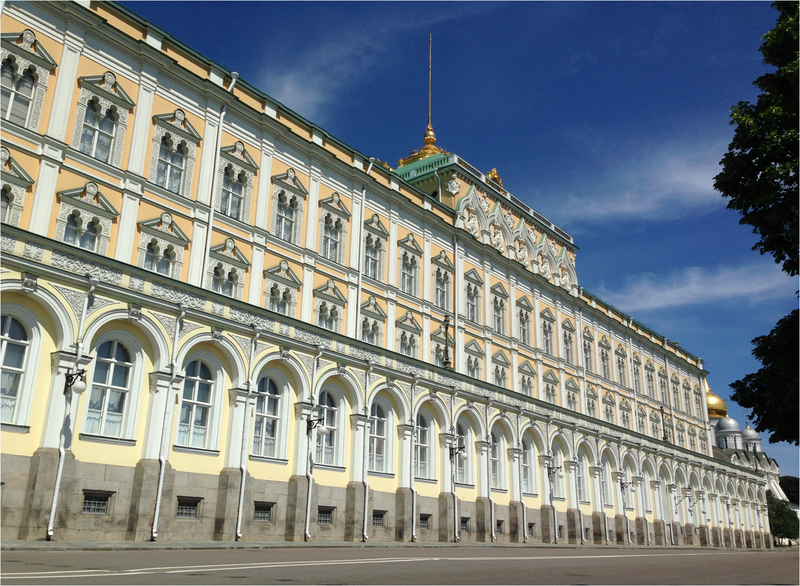 Plus three excursions, two of which we did on our own (the Armoury Chamber and the Moscow Kremlin), and a visit to the State Tretyakov Gallery, which we missed due to a conflict on our schedule. Below, I include some of the images of our trip, in no particular order. On purpose, I often use a phone-camera to document our traveling. 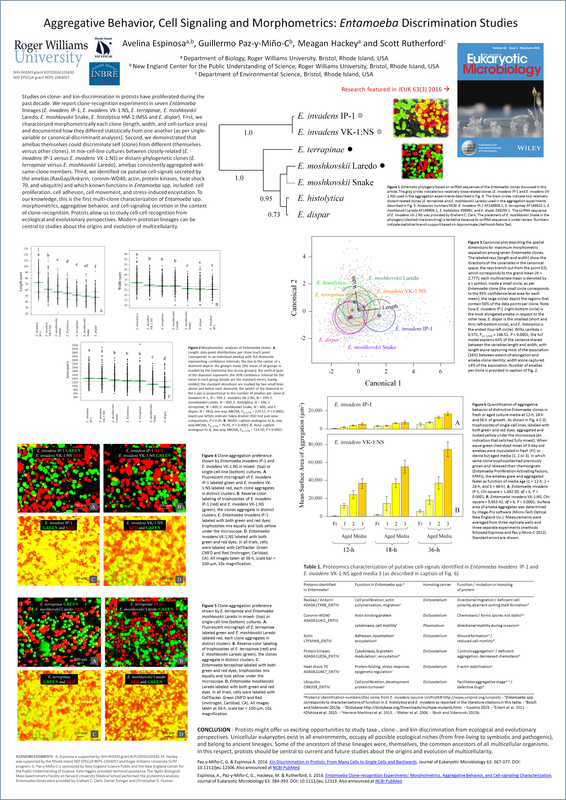 Most images are in low definition and have little or no editing (click on them to enlarge). Please note that images are copyrighted, all rights reserved, enjoy watching them! — EvoLiteracy © 2016. 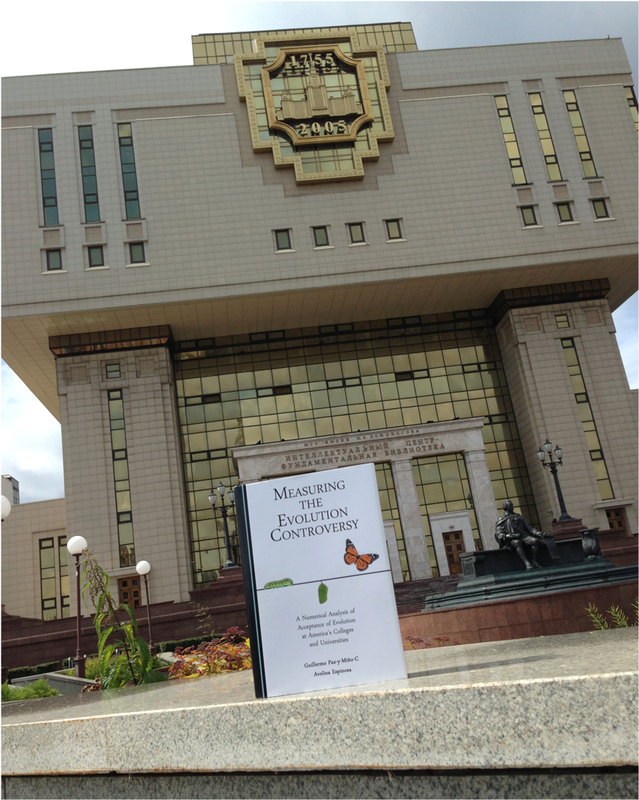 Above: Our book, Measuring the Evolution Controversy (2016), at the downtown campus of Lomonosov Moscow State University. Quite a stop to start our official visit. 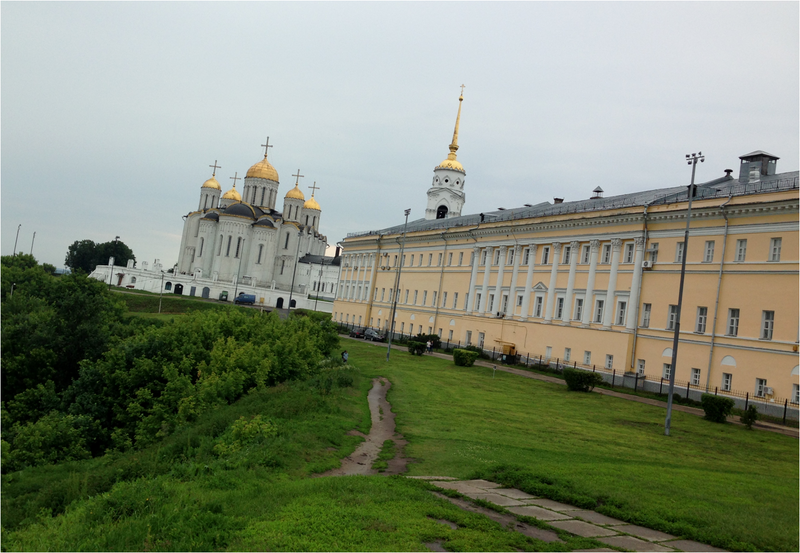 The old campus is located nearby the Kremlin. The new campus is located South of the city’s center. Above: Opening at Moscow Forum Protists – 2016. The Faculty of Biology Building, Lomonosov Moscow State University. Above: Main Building Lomonosov Moscow State University. 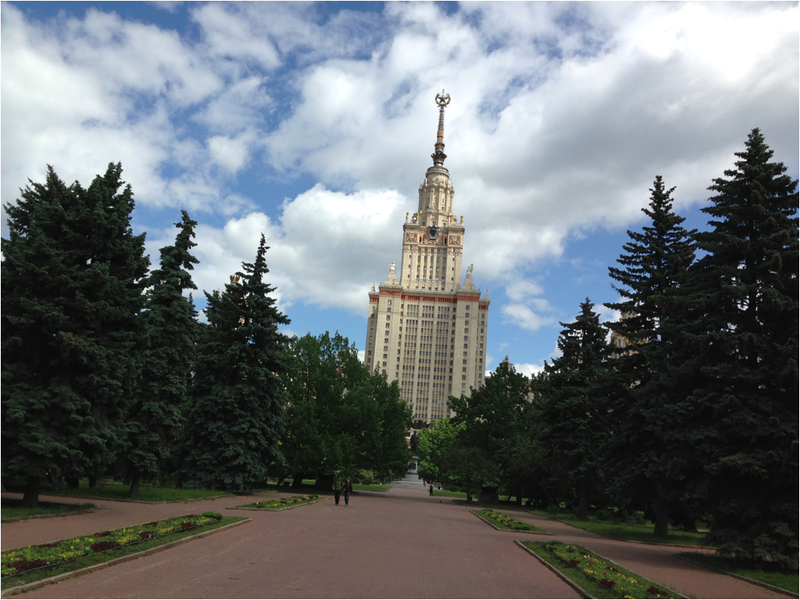 There are seven identical buildings in Moscow, one of them belongs to the University. Above: VDNKH Metro Station in Moscow. 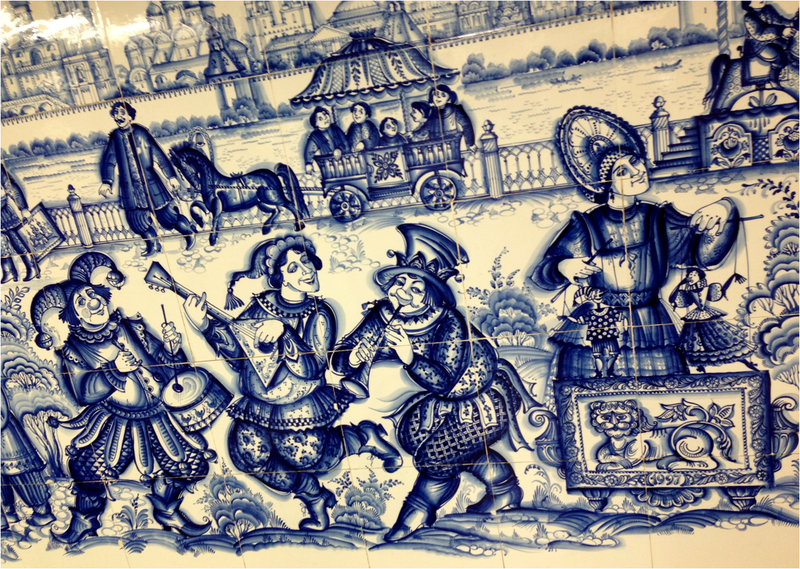 Tiles covering an entire wall (18 x 6 feet). While we were admiring this “tile-mosaic,” a young couple, plus a boy with his mother, stopped by to take pictures, an indication that this was an appreciated spot. 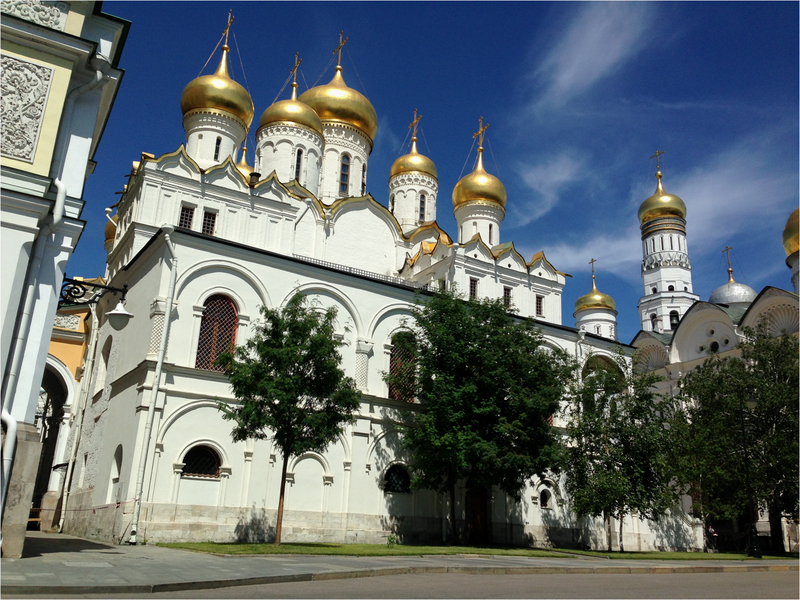 Above: Cathedral of the Nativity of the Virgin in Suzdal, Russia. My favorite; blue is the right color. 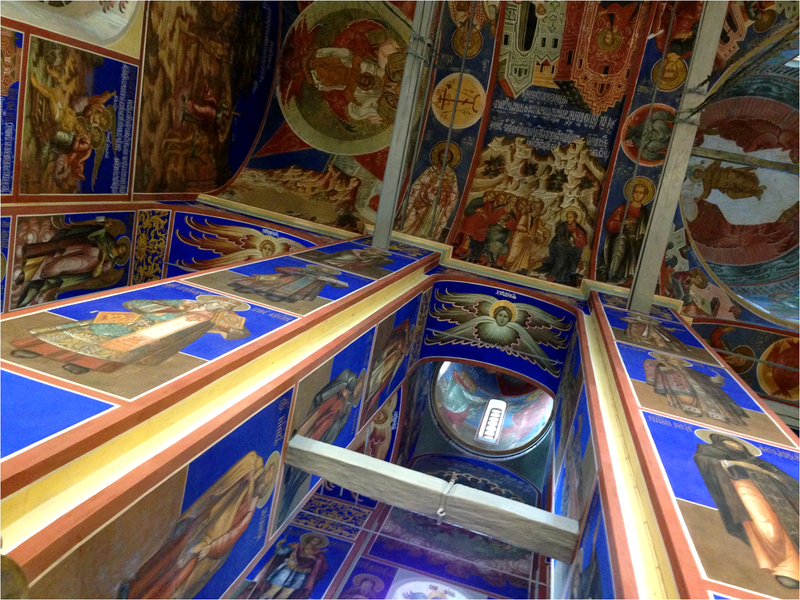 Above: Inside the Cathedral of the Nativity of the Virgin in Suzdal, Russia. 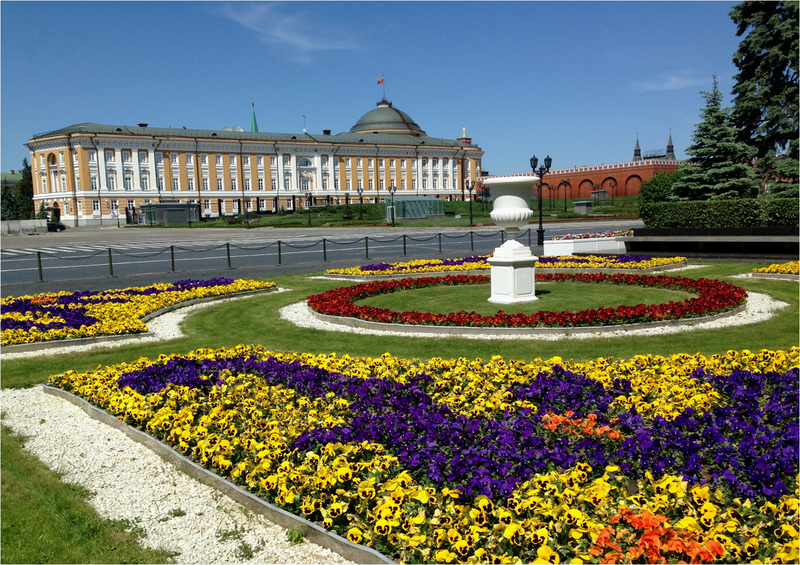 Above: The Senate and The Secret Gardens, Kremlin, Moscow. 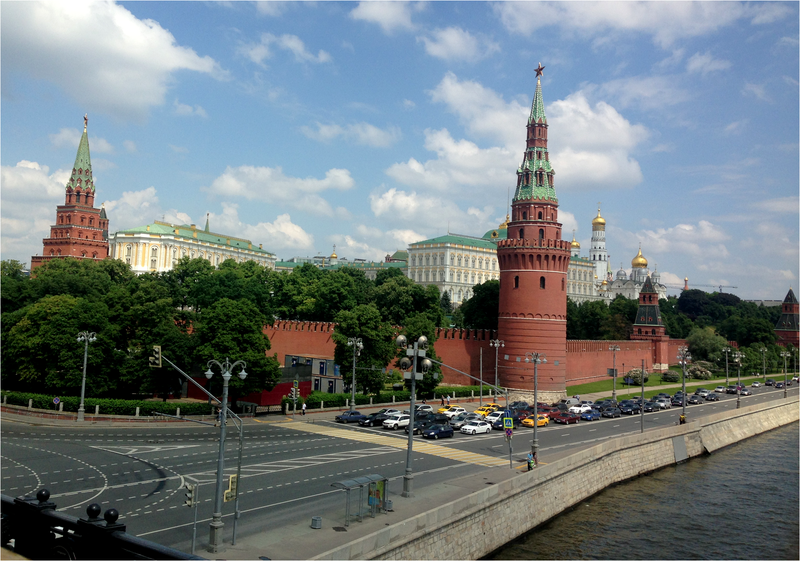 Above: The iconic Kremlin Wall with tower, Moscow. 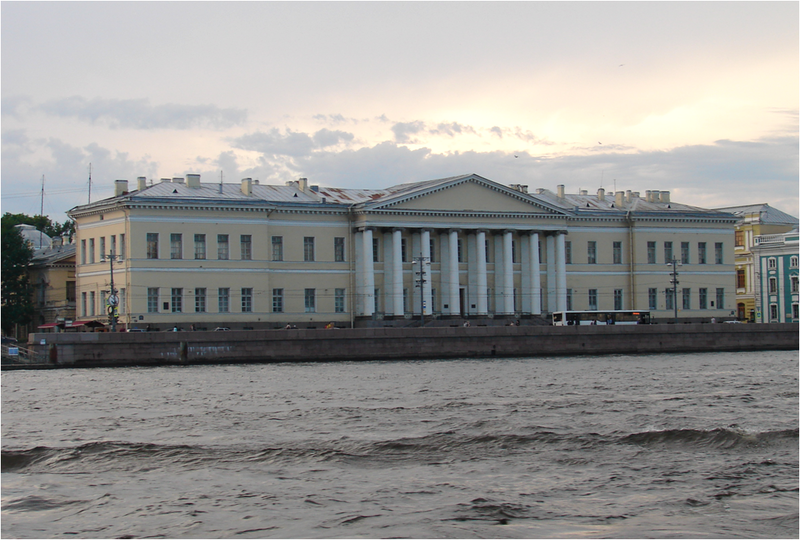 The Kremlin buildings (government and museums) are enclosed by the wall. Above: The Grand Kremlin Palace in Moscow. 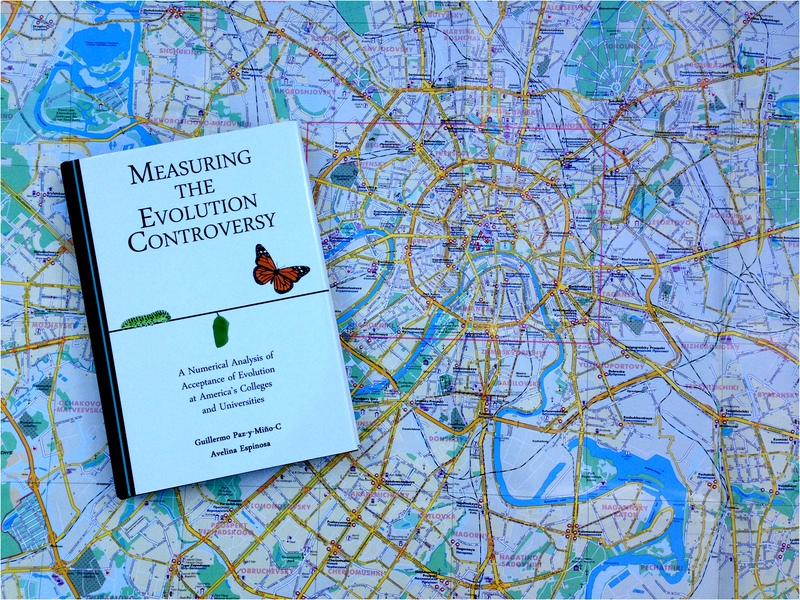 Above: Our book, Measuring the Evolution Controversy, planning the next day’s activities in Moscow. 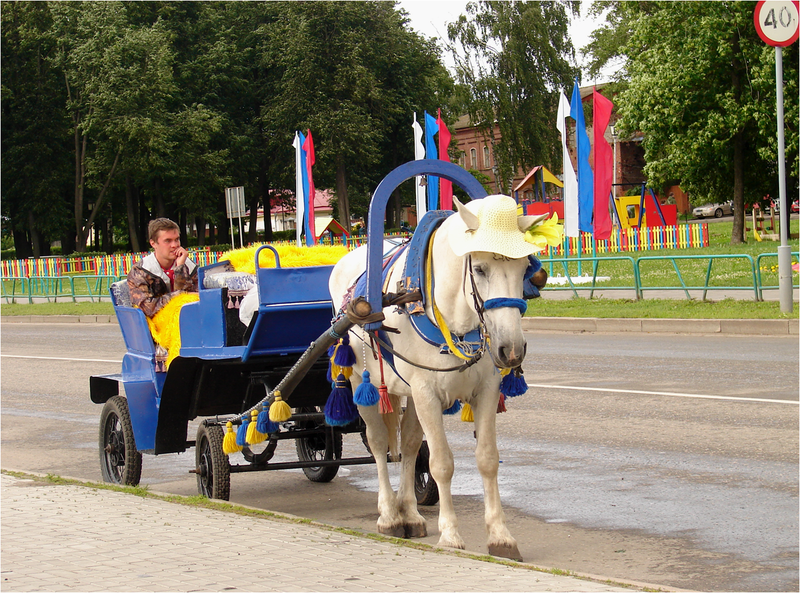 The Metro system is quite efficient to explore the city’s historic buildings, monuments and museums. 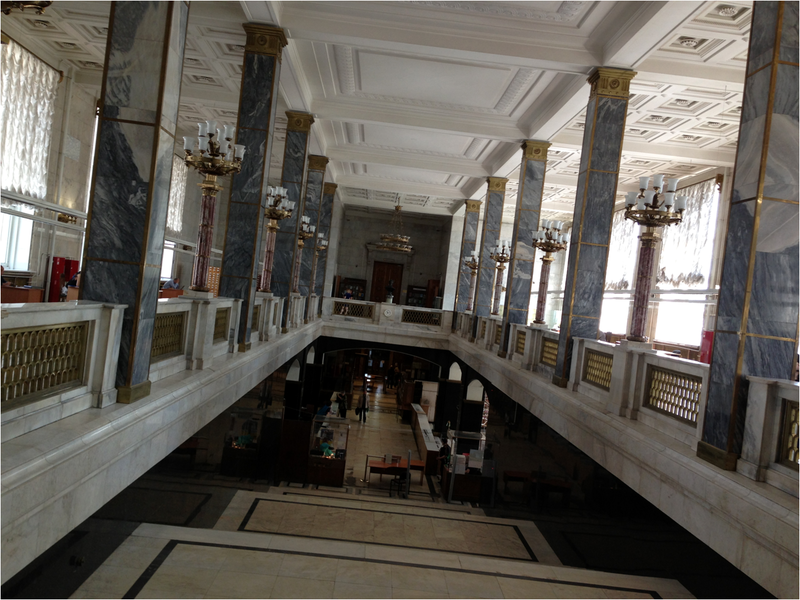 Above: Russian State Library, Main Hall, Moscow. An old palace in current renovation. 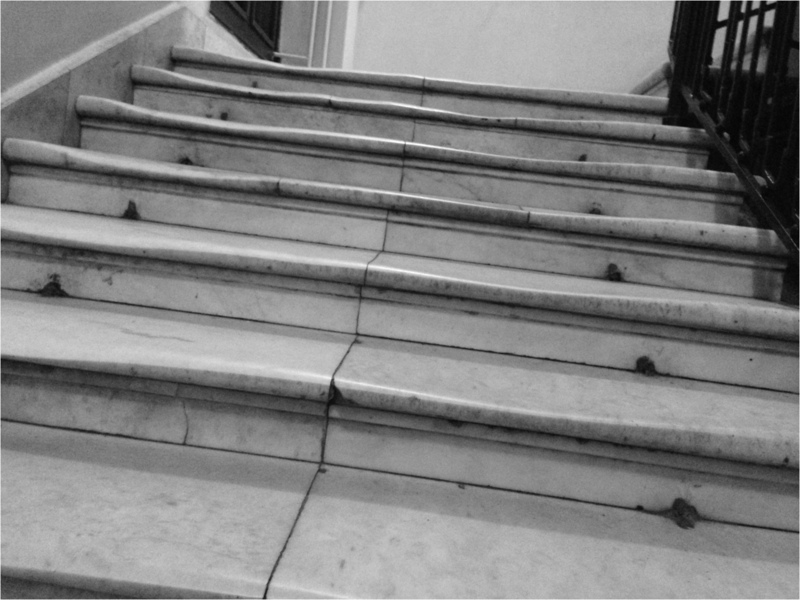 Above: Marble stairs at the Russian State Library; history polished on marble, perhaps by millions of people over the years, Moscow. 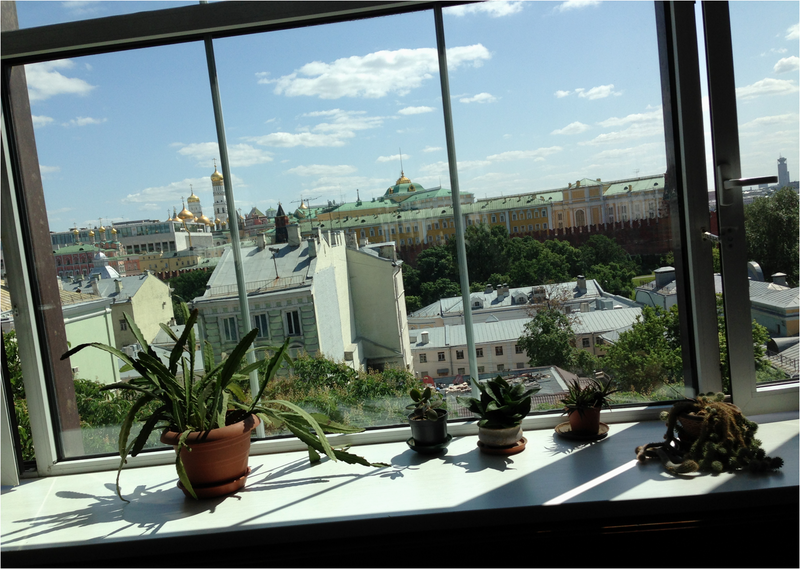 Above: View of the Kremlin from the Russian State Library in Moscow. 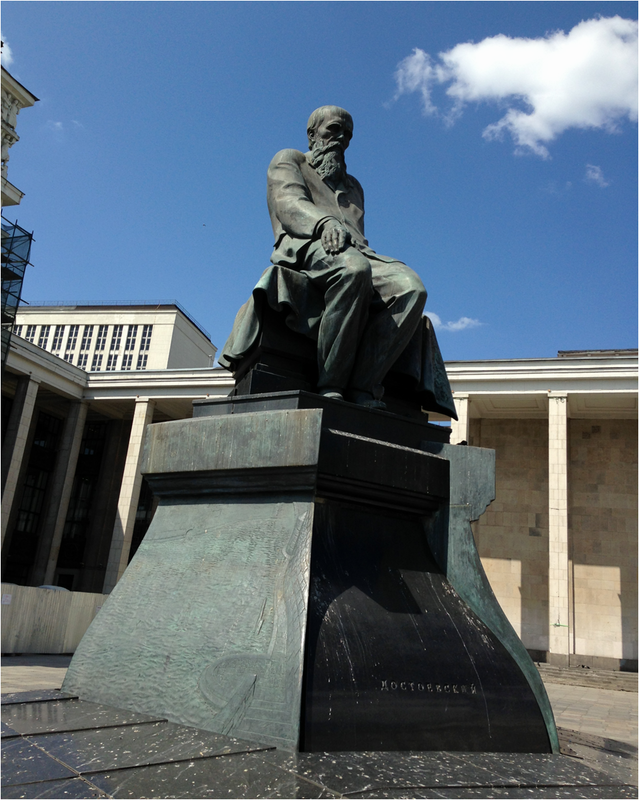 Above: Fyodor Dostoyevsky statue at the Russian State Library, frequented spot by pigeons and birdlife. Quiet, little explored by pedestrians now that the surroundings are in renovation. 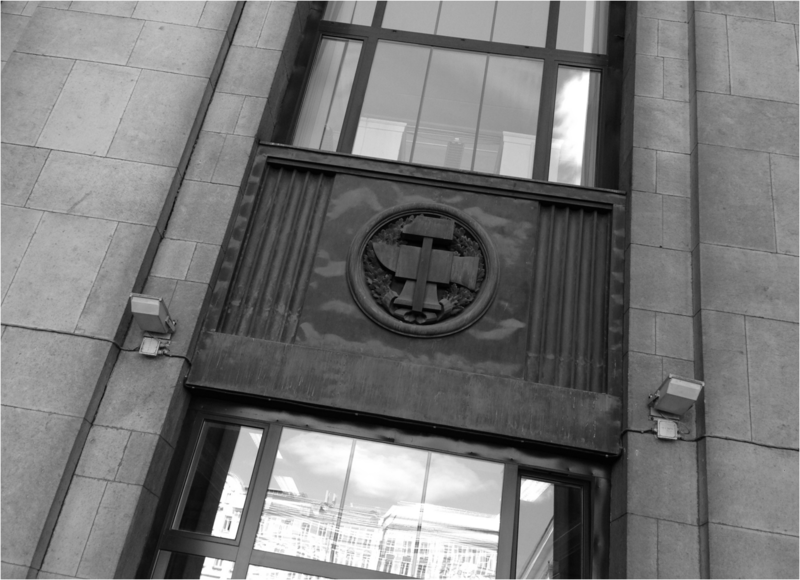 Above: Detail of façade at the Russian State Library, Moscow. Above: Book Museum at the Russian State Library. 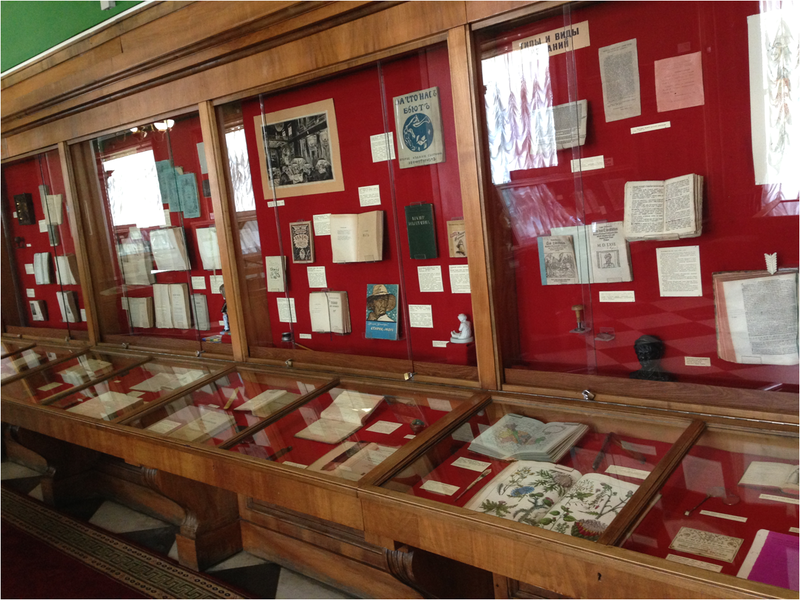 Its collection of old books is impressive, hundreds of volumes. 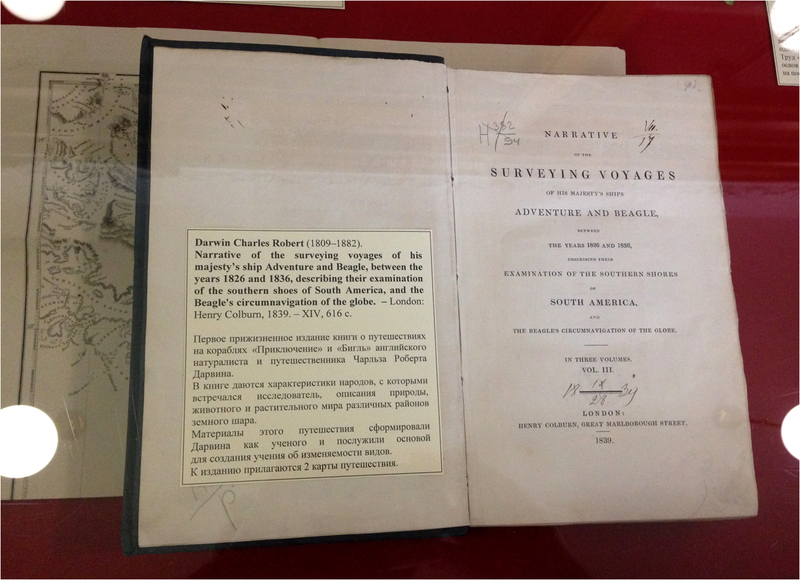 Above: Darwin’s SURVEYING VOYAGES (1839) at the Book Museum of the Russian State Library, Moscow. 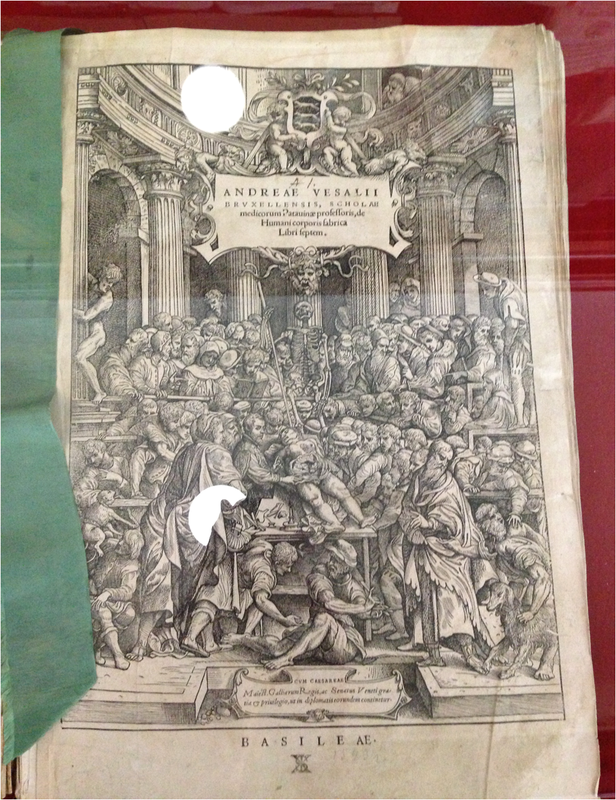 Above: The original HUMANI CORPORIS FABRICA by Andreas Vesalius (1543) at the Book Museum, Russian Sate Library, Moscow. I have seen this book twice, the first time at the Library of Medicine, National Institutes of Health, Bethesda, in the US. 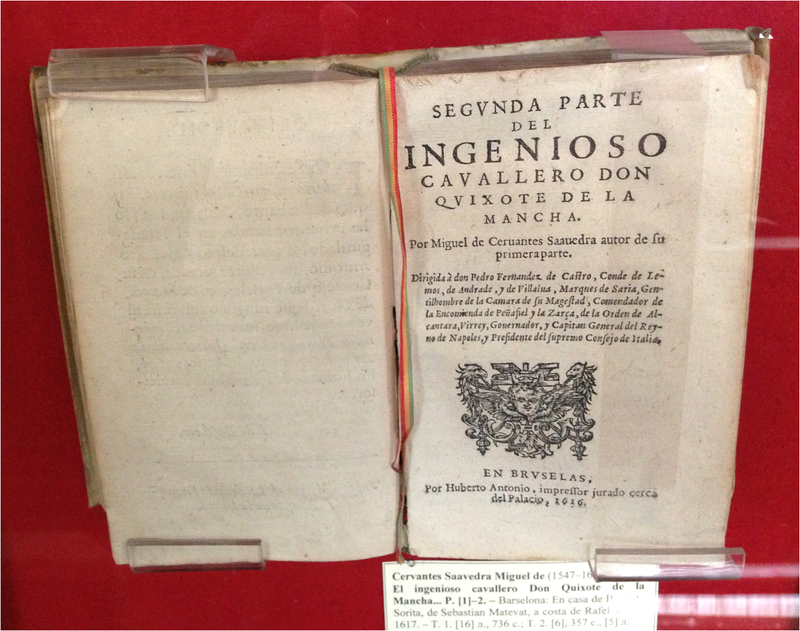 Above: DON QVIXOTE OF LA MANCHA (1616), Book Museum, Russian State Library, Moscow. 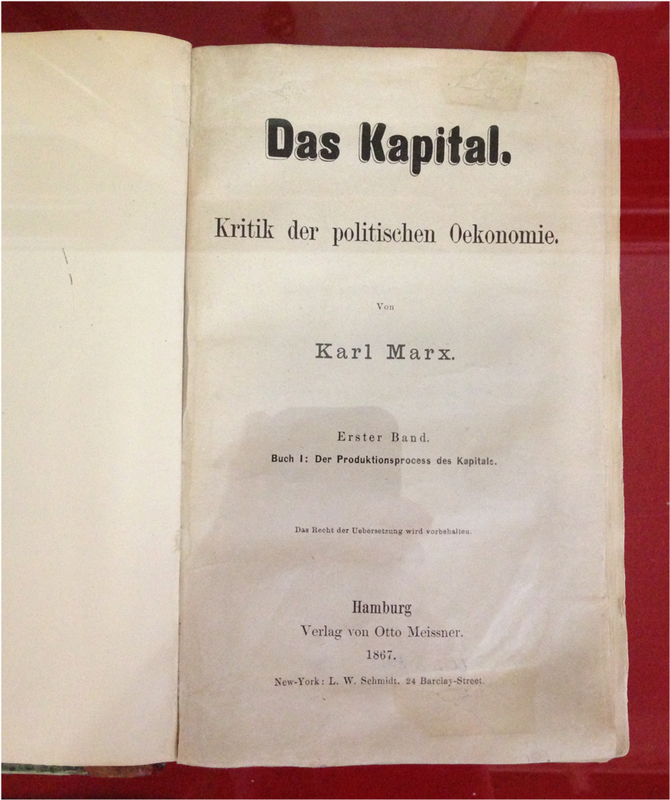 Above: 1867 edition of Das Kapital by Karl Marx, Book Museum, Russian State Library, Moscow. 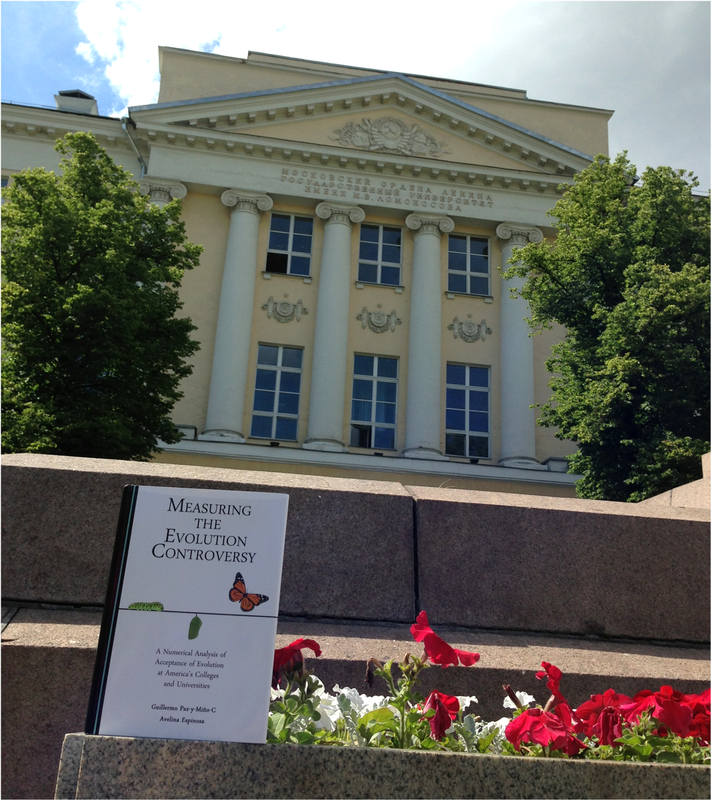 Above: Our book, Measuring the Evolution Controversy, enjoying a lovely day outside the Library of Lomonosov Moscow State University. MTEC was not allowed in the Library due to lack of proper “pass,” which was required for visitors. In any event, the book took some time for selfies and promotion. 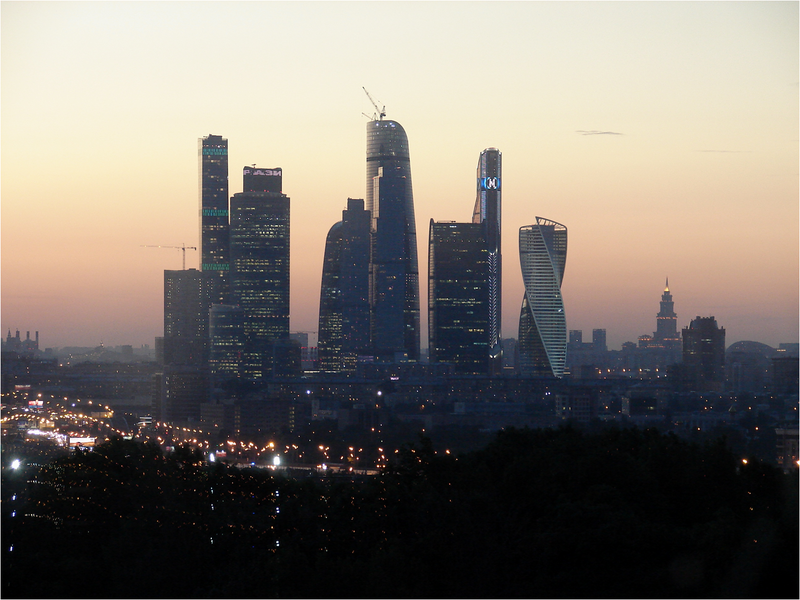 Above: Modern Moscow at sunset, a view from our hotel. 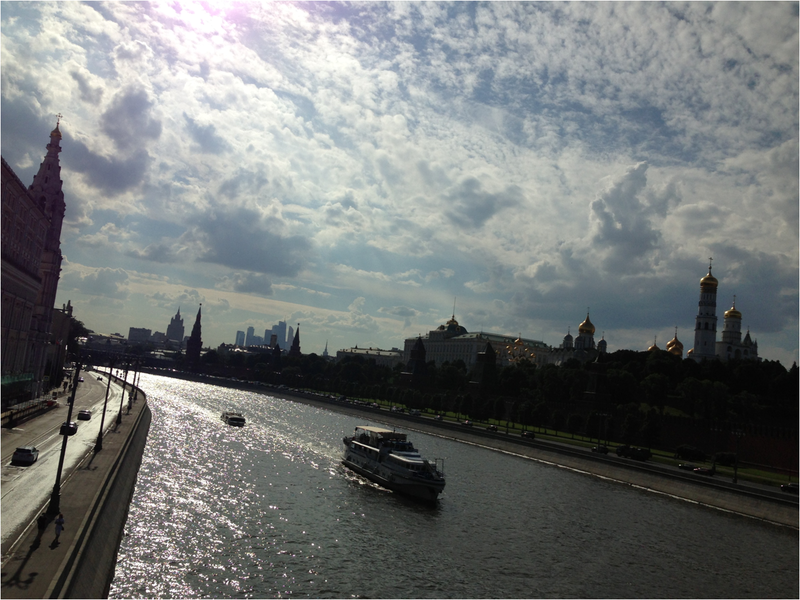 Above: Moskva River and Kremlin (on the right), Moscow. 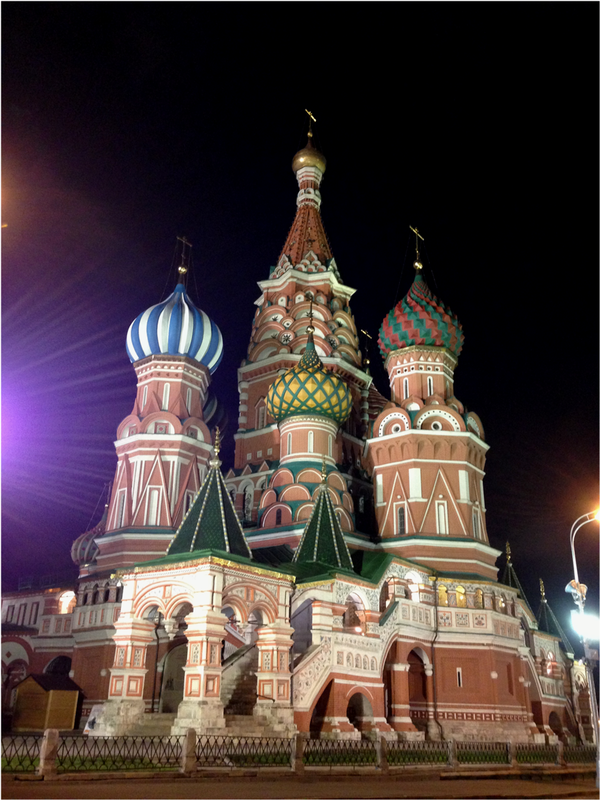 Above: Saint Basil’s Cathedral (night), Moscow. 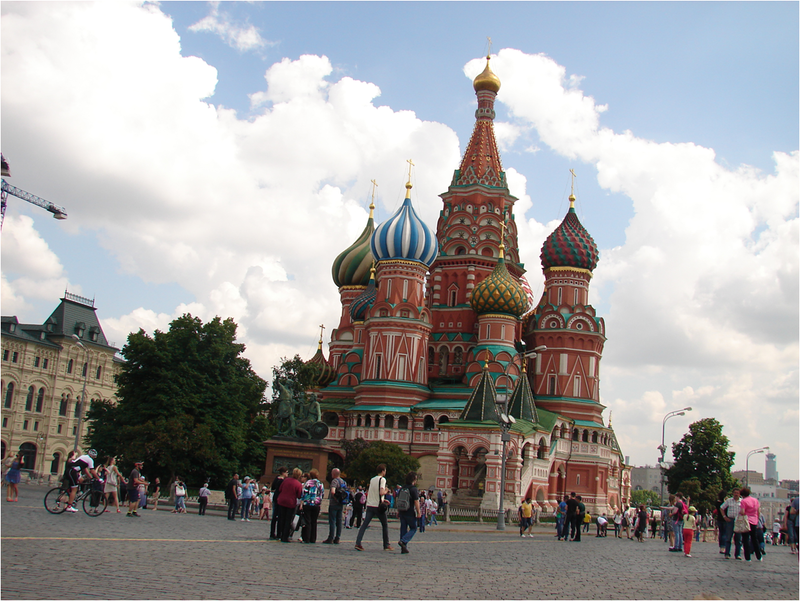 Above: Saint Basil’s Cathedral, Moscow, panoramic view. 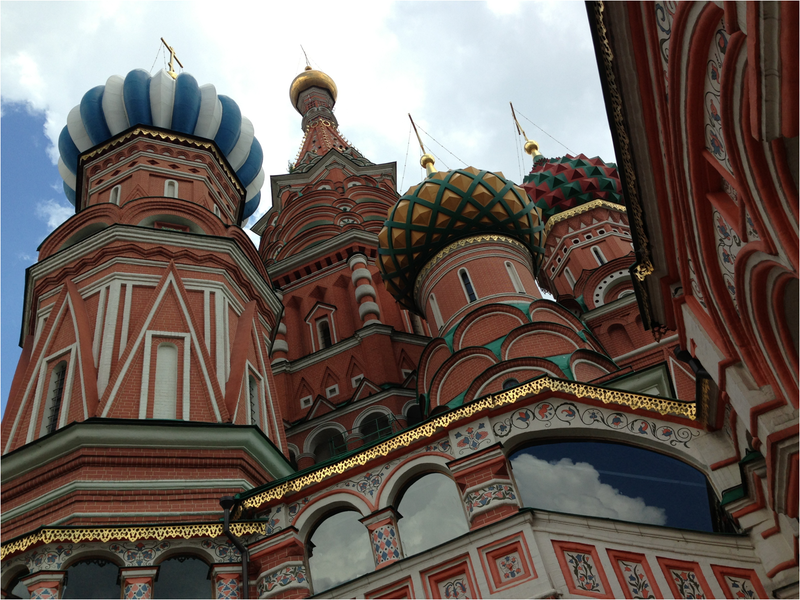 Above: Saint Basil’s Cathedral, close up, Moscow. 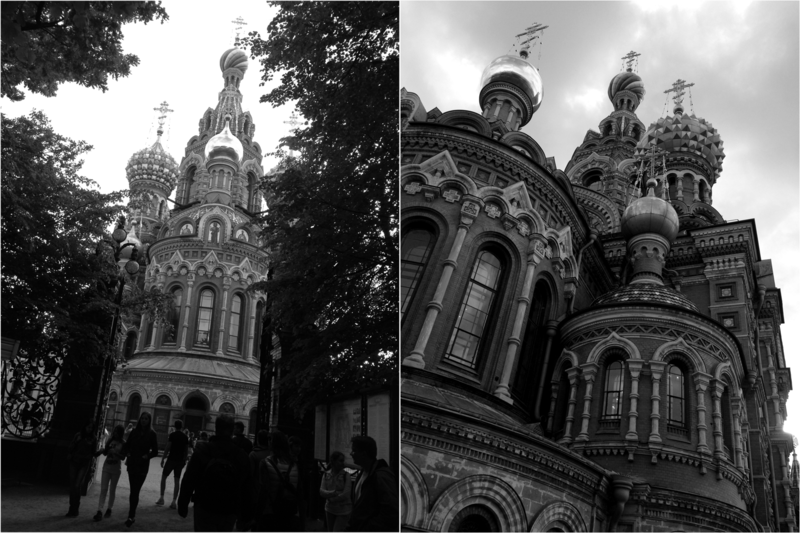 Above: Orthodox Moscow, next to Saint Basil’s Cathedral. 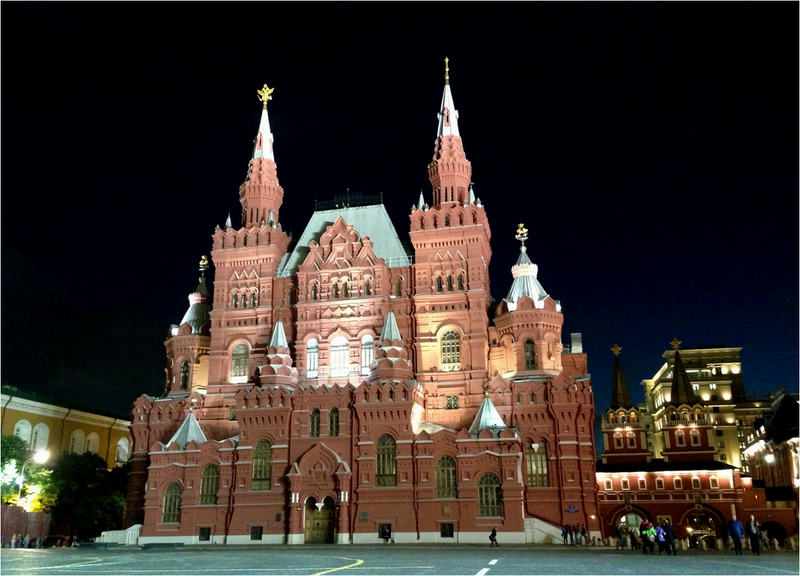 Above: The Historical Museum at Red Square, Moscow. It has an excellent collection of artifacts related to Russian history, starting from Homo erectus (the first archeological discoveries in Russian landscapes) up to the 20th Century. 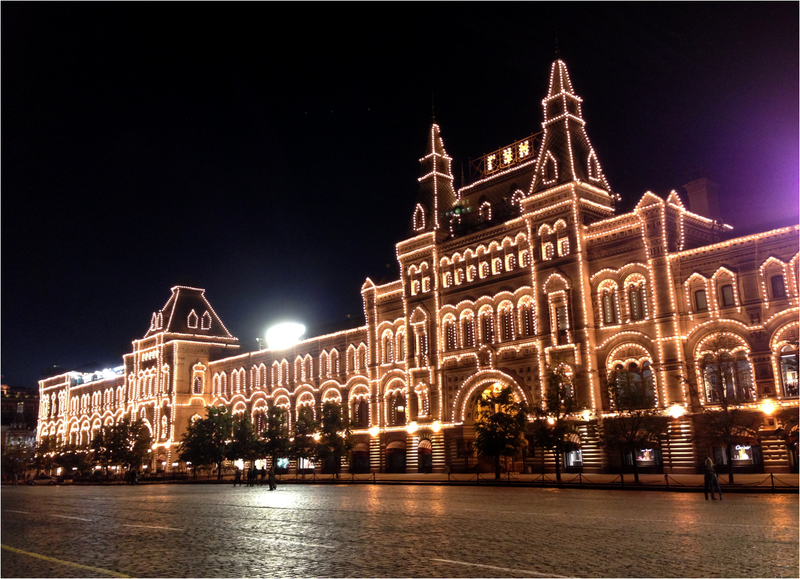 Above: The GUM Building at Red Square, Moscow. 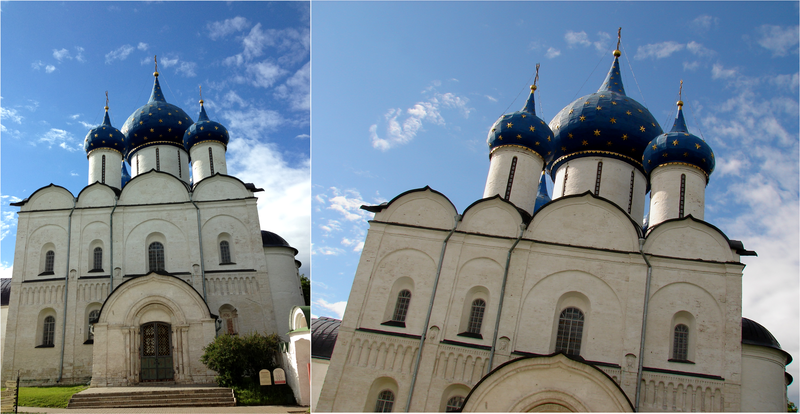 Above: Annunciation Cathedral, side-view, Kremlin, Moscow. 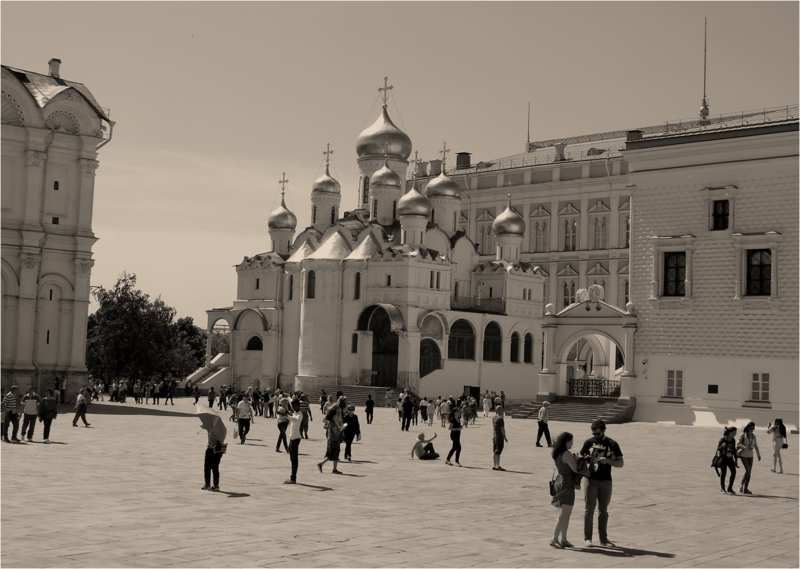 Above: Annunciation Cathedral in B&W, Kremlin, Moscow. Above: Ivan The Great Bell Tower, Kremlin Moscow. 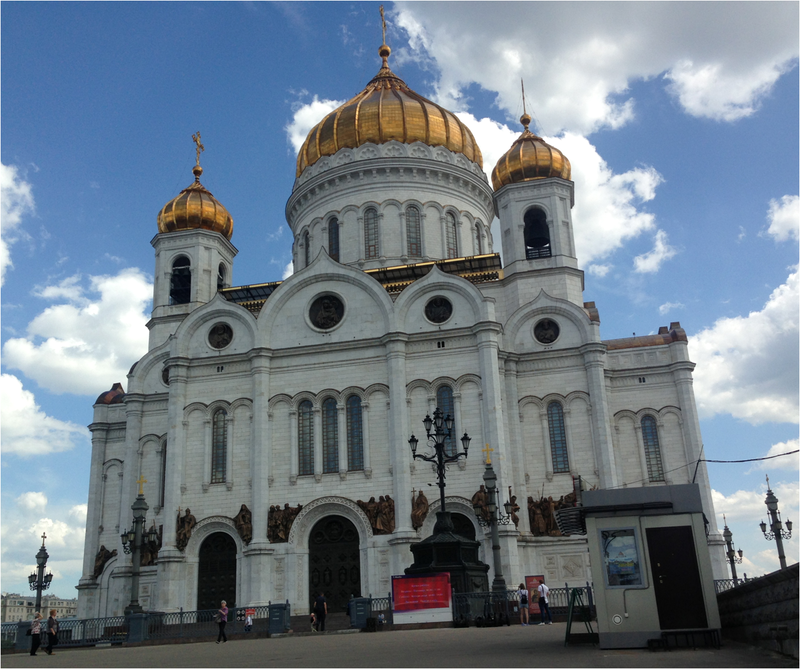 Above: Cathedral of Christ the Saviour, Moscow. 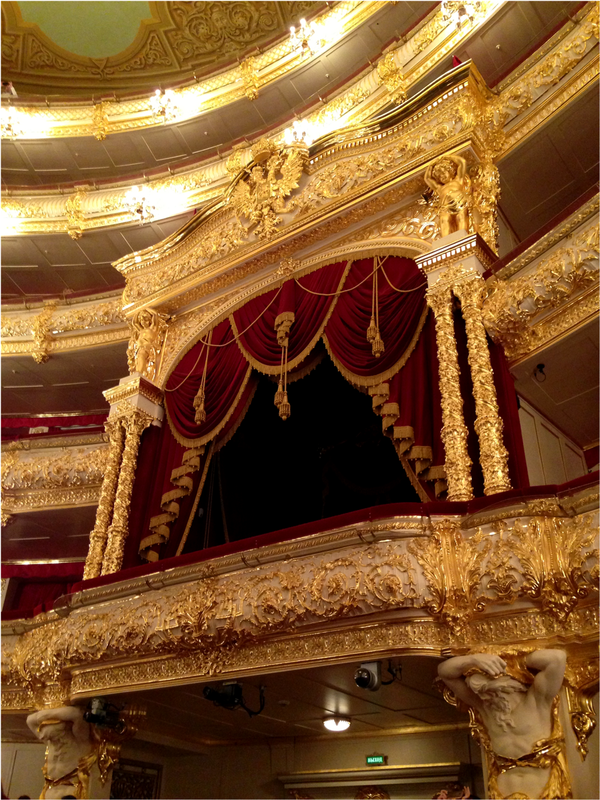 Above: Bolshoi Theatre’s stage, Moscow. 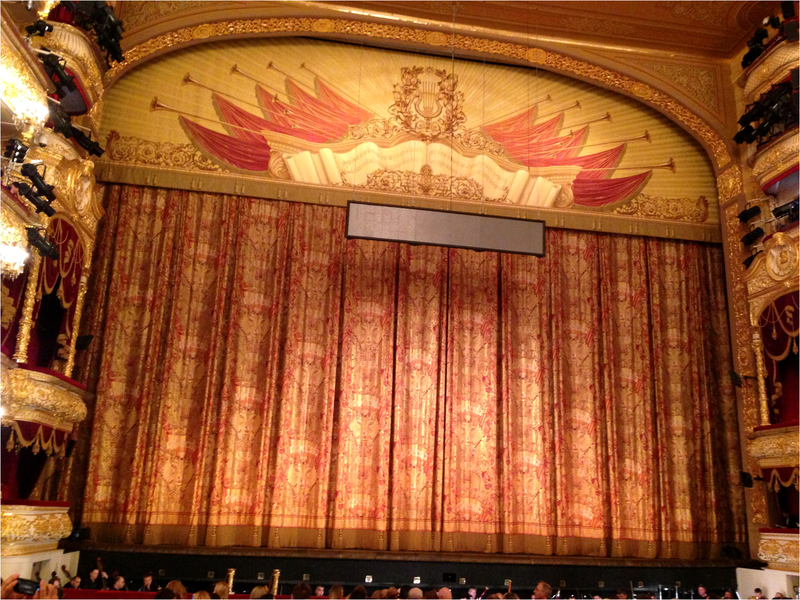 We were fortunate to get tickets for the Opera Katerina Izmailova, an adaptation of Shostakovich’s opera Lady Macbeth of the Mtsensk District. 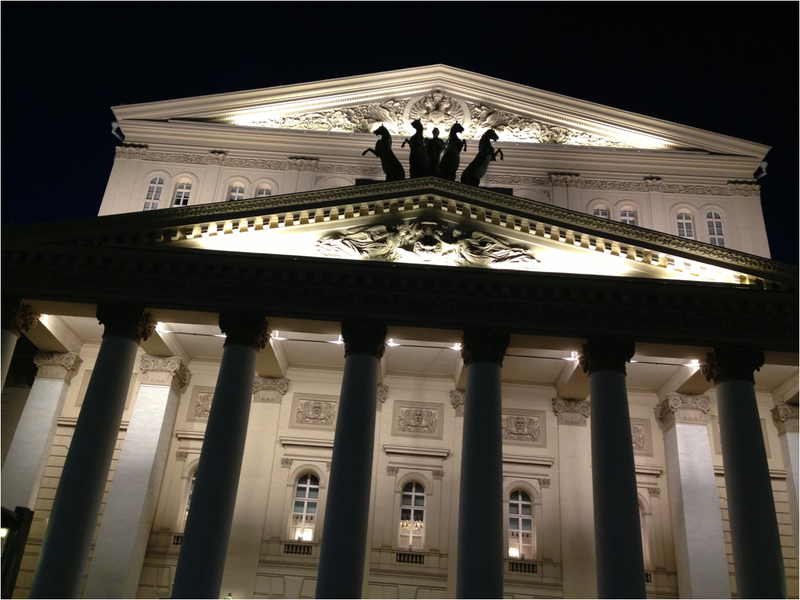 Above: Bolshoi Theatre Central Balcony, Moscow. 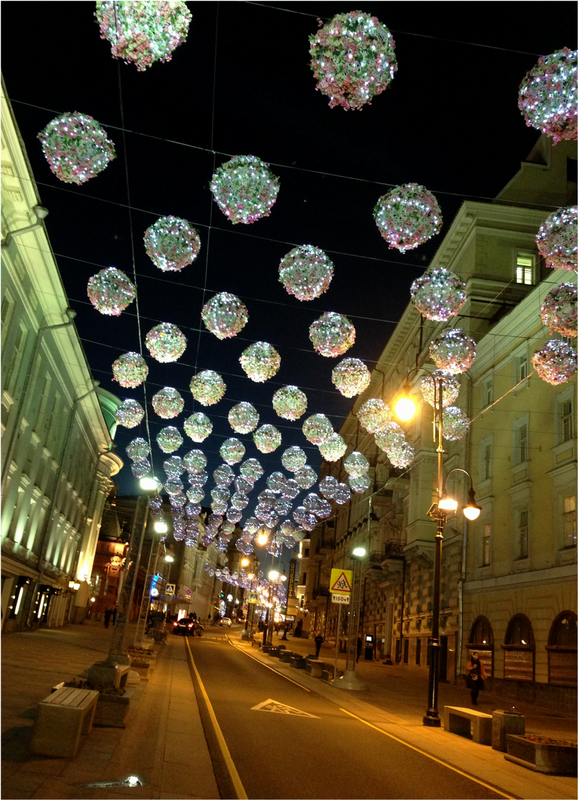 Above: Beautiful Moscow by night. 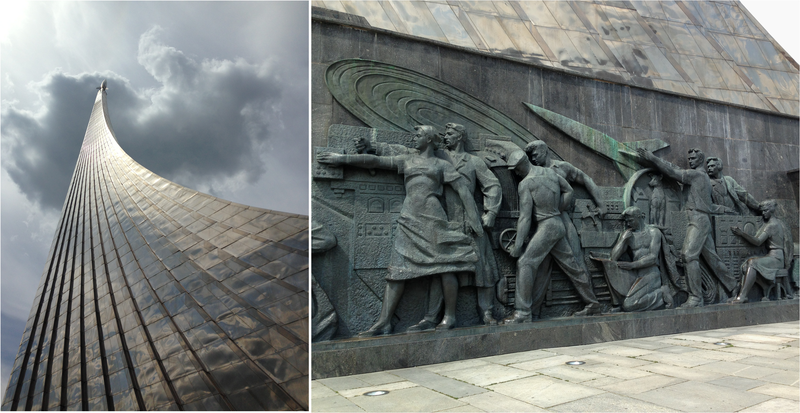 Above: At the MEMORIAL MUSEUM OF COSMONAUTICS, Moscow. 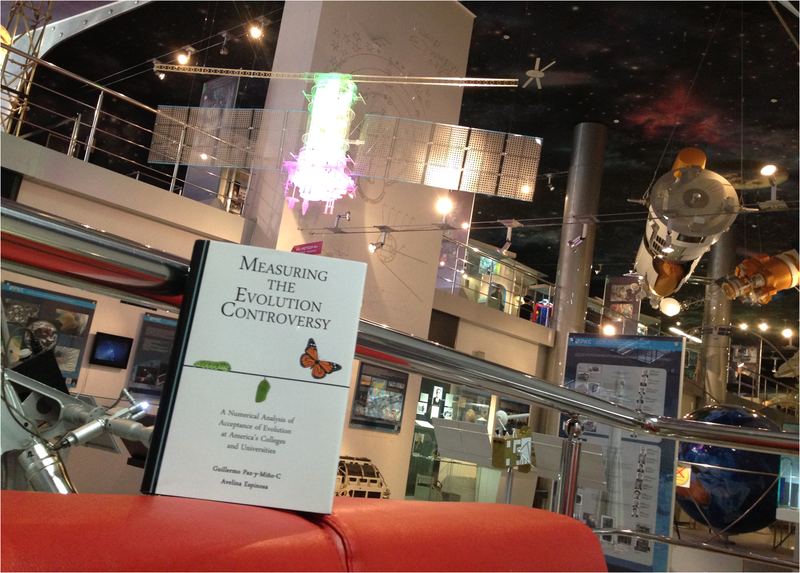 Above: Our book, Measuring the Evolution Controversy, at the MEMORIAL MUSEUM OF COSMONAUTICS, Moscow. 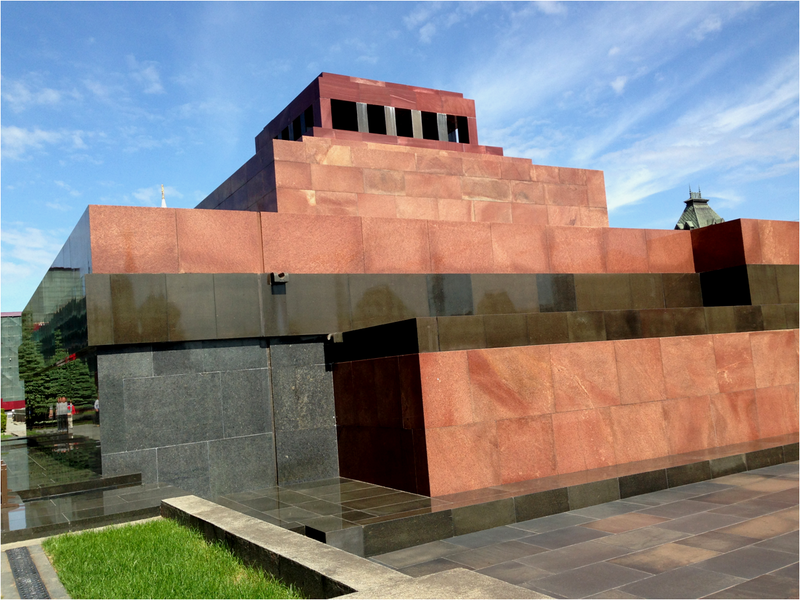 Above: Back view of Lenin’s Mausoleum, Kremlin, Moscow. 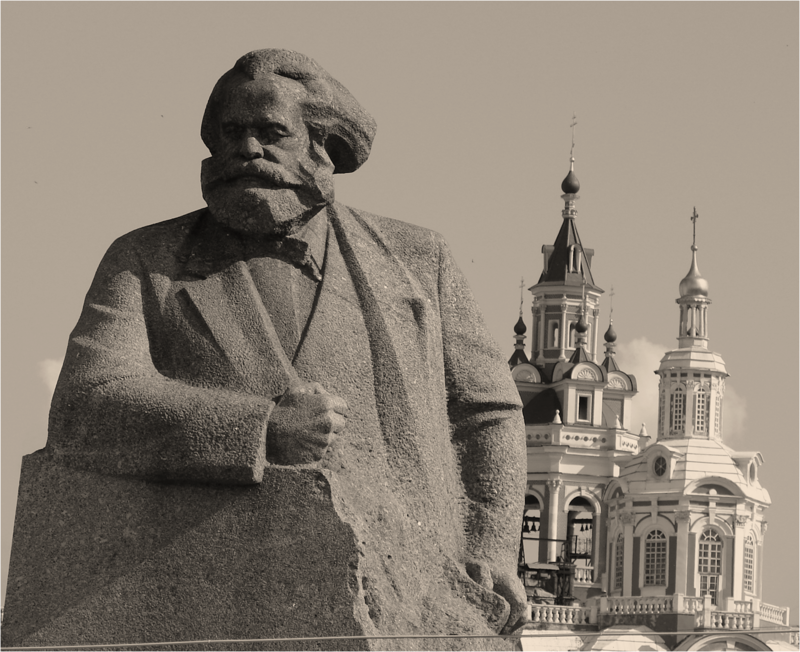 Above: Karl Marx monument in Moscow. 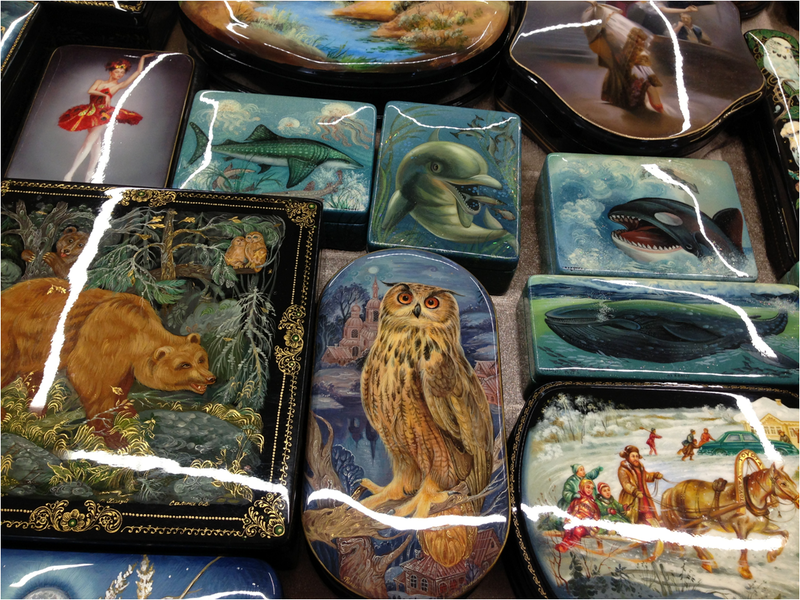 Above: Handcrafted Nature Boxes, St. Petersburg. Above: Casual Moscow… fast-food style. 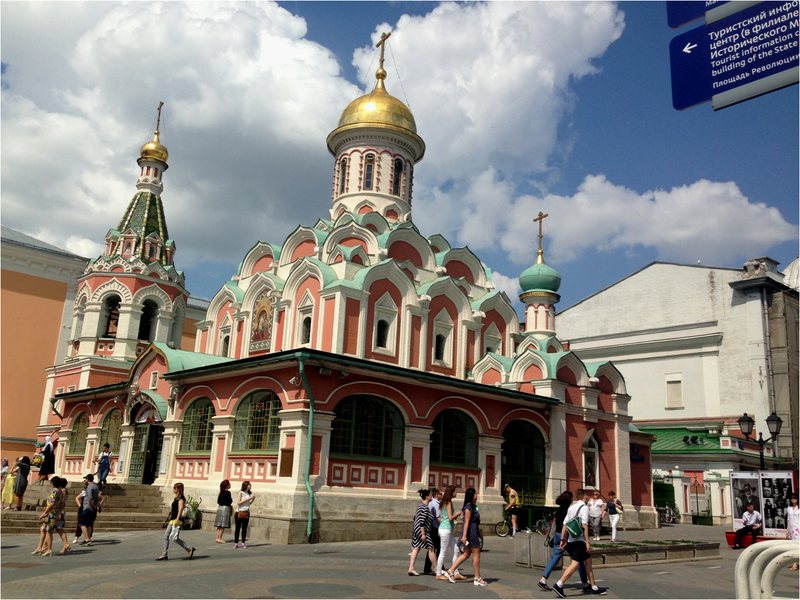 Above: Kazan Cathedral, Red Square, Moscow. 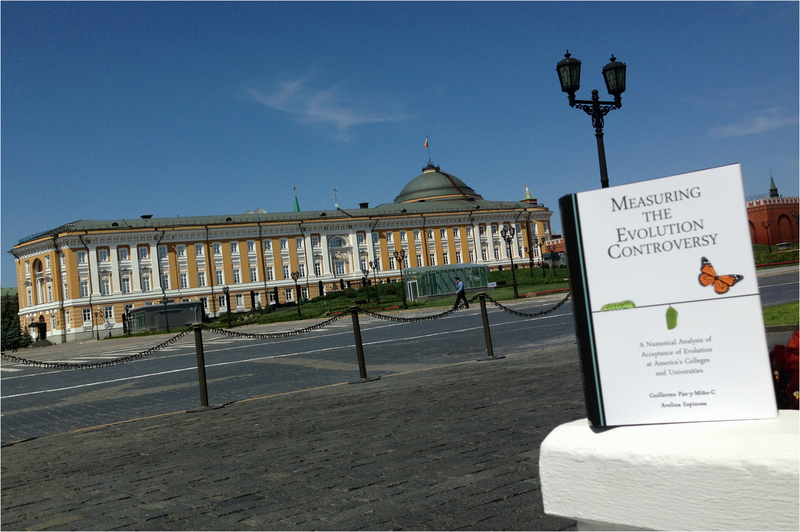 Above: Our book, Measuring the Evolution Controversy, posing before The Senate, Kremlin Moscow. 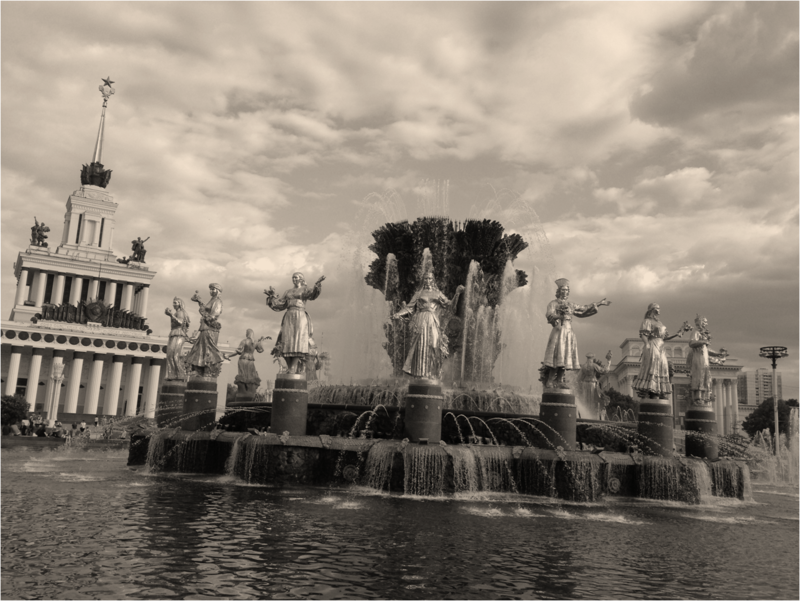 Above: STONE FLOWER FOUNTAIN in Moscow. 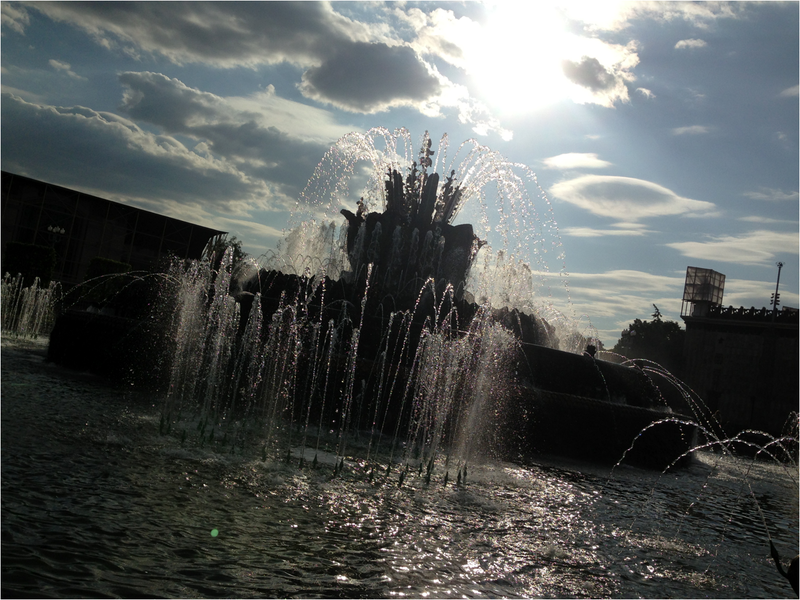 Above: The Friendship of People Fountain, Moscow. 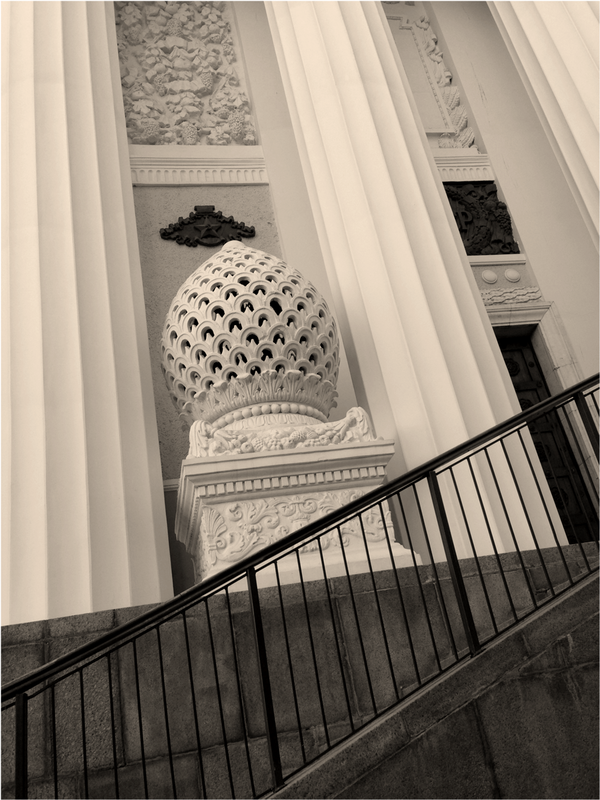 Above: Architectural detail, Central Pavilion, Moscow. 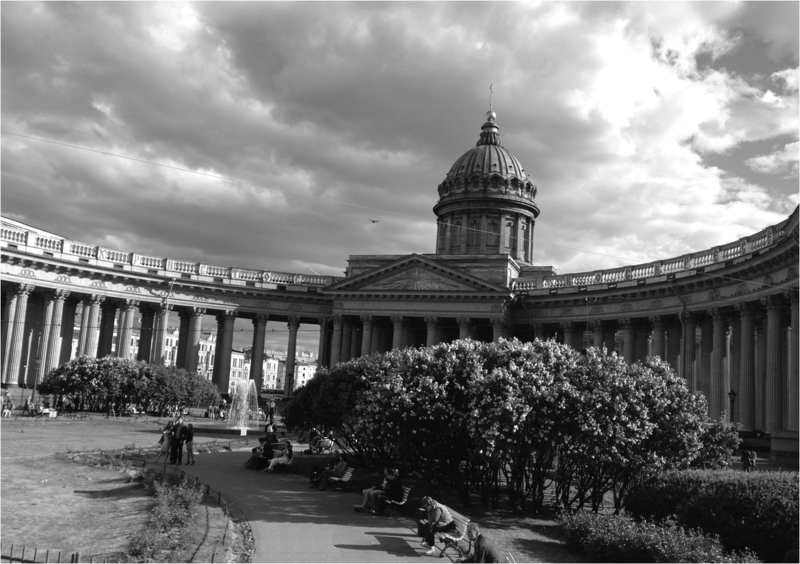 Above: Kazan Cathedral in St. Petersburg. Above: Church of the Savior on Spilled Blood, St. Petersburg. Above: Close up of Church of the Savior on Spilled Blood, St. Petersburg. 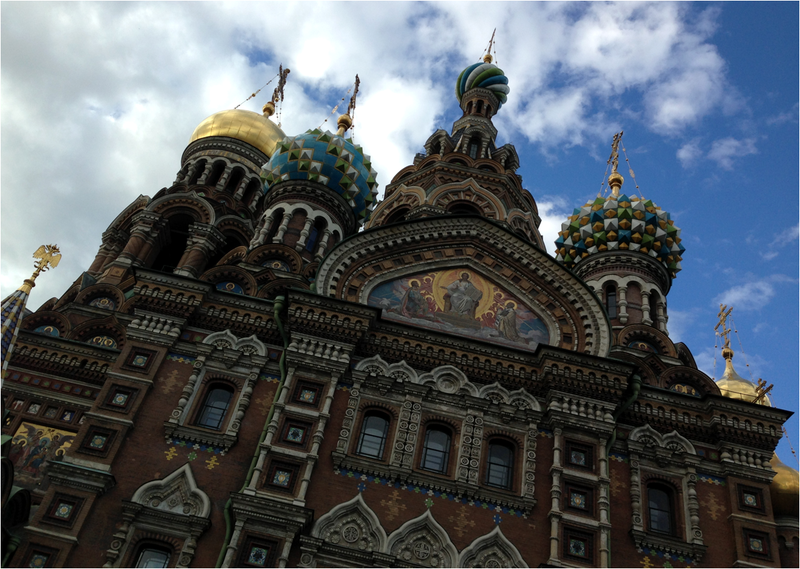 Above: Church on The Spilled Blood, St. Petersburg. The church is so colorful that even in B&W the viewer can imagine the colors. 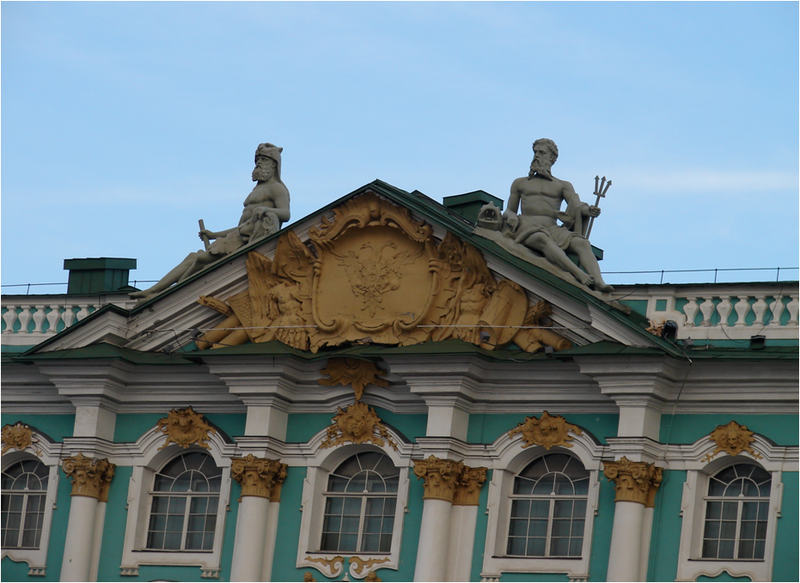 Above: Close up of The Hermitage Museum, St. Petersburg. 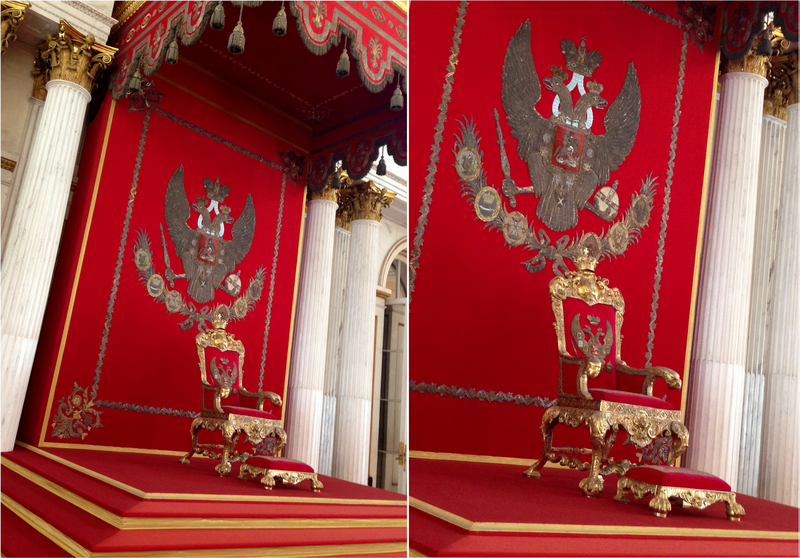 Above: The Royal Throne at The Hermitage Museum, St. Petersburg. 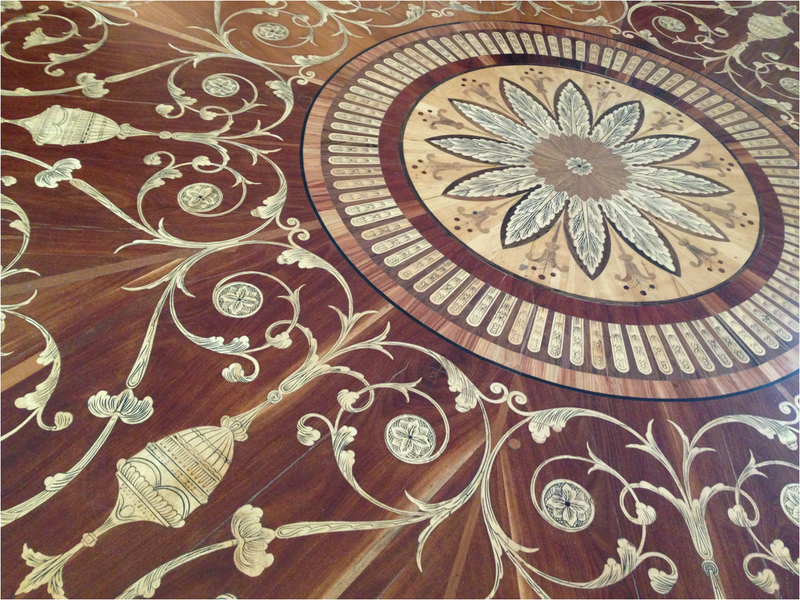 Above: Wooden Floor at The Winter Palace, The Hermitage Museum, St. Petersburg. Above: The old building of the Russian Academy of Sciences in St. Petersburg. 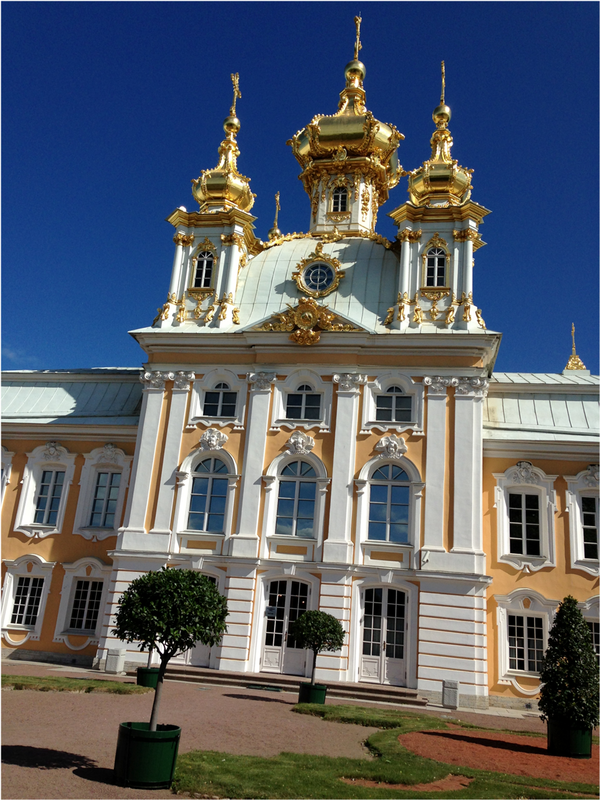 Above: Main Entrance to The Summer Palace, St. Petersburg. 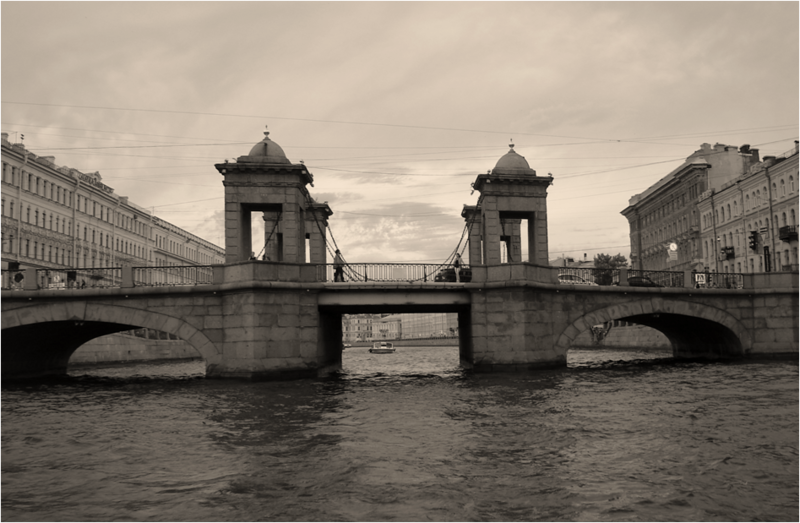 Above: Meet me at the bridge, St. Petersburg. 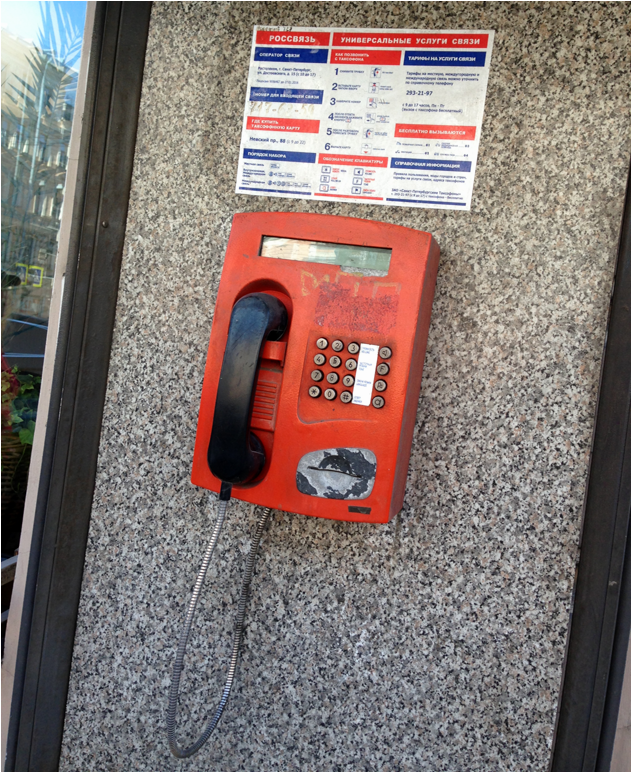 Above: The last red phone, St. Petersburg. 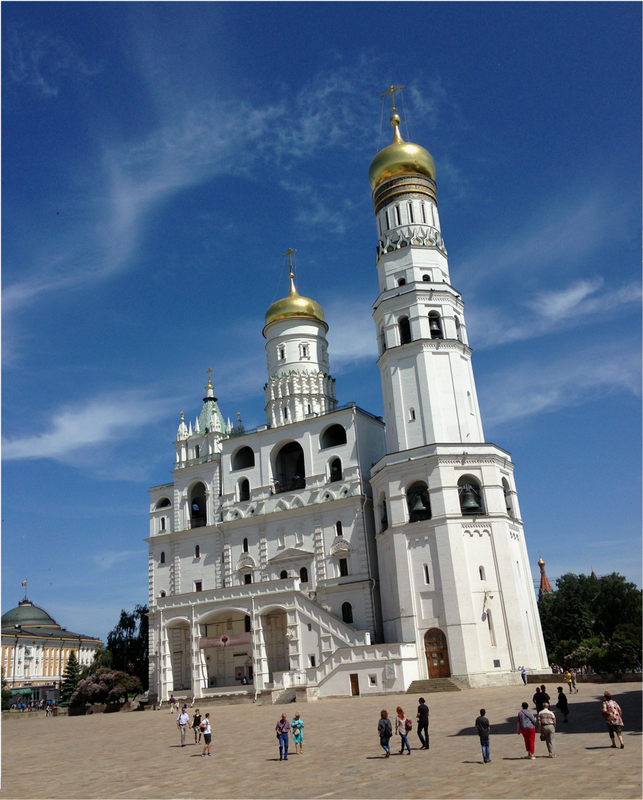 Above: Dormition Cathedral in Vladimir, Russia. 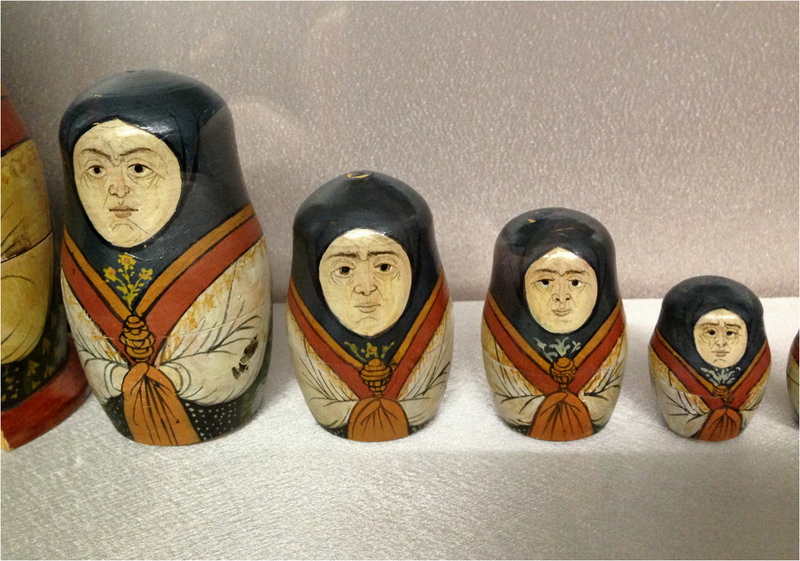 Above: Matryoshkas from the 1920s, Trinity Church, Vladimir, Russia. 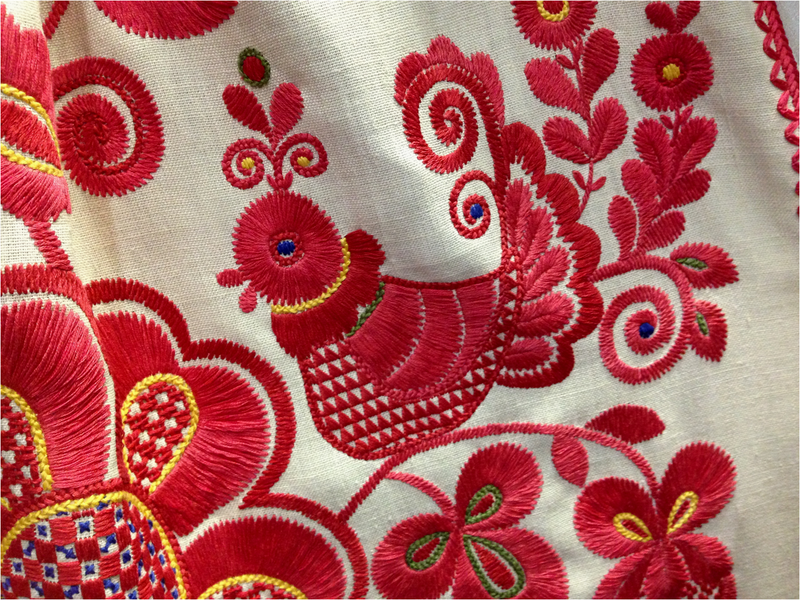 In the old(er) days, the dolls were of pale colors, which changed over the years to a more colorful design. 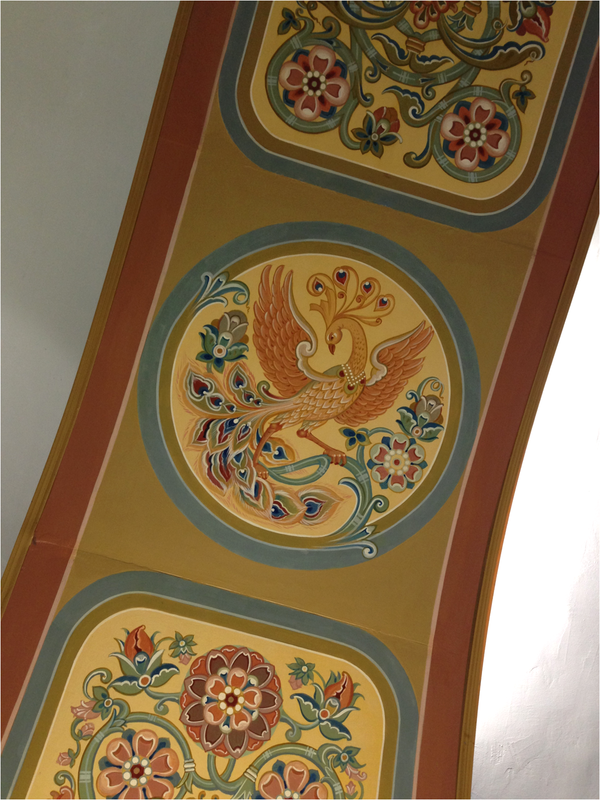 Above: A Fowl at the Trinity Church in Vladimir, Russia. Above: Lenin and Stalin on glass, Trinity Church, Vladimir, Russia. Above: Town of Suzdal, Russia. 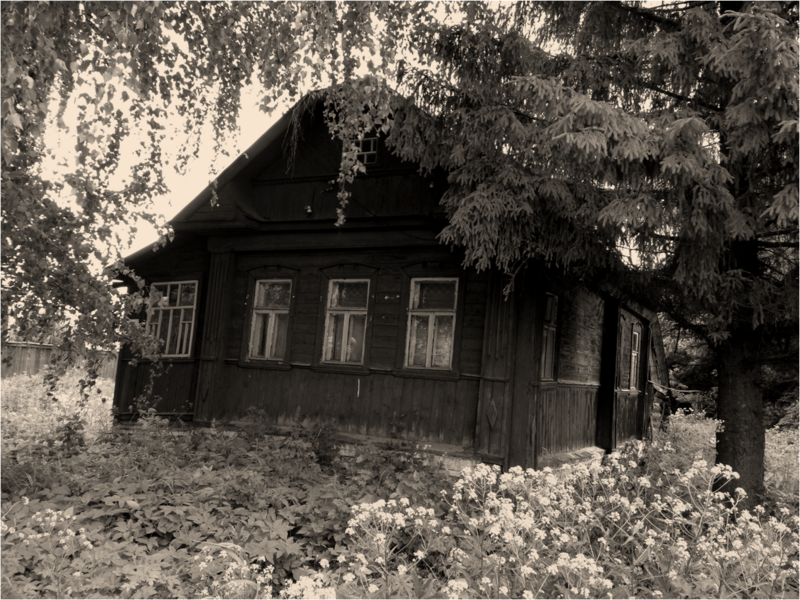 Above: Traditional old-house in the town of Suzdal, Russia. Above: Colorful Russia, the town of Suzdal. 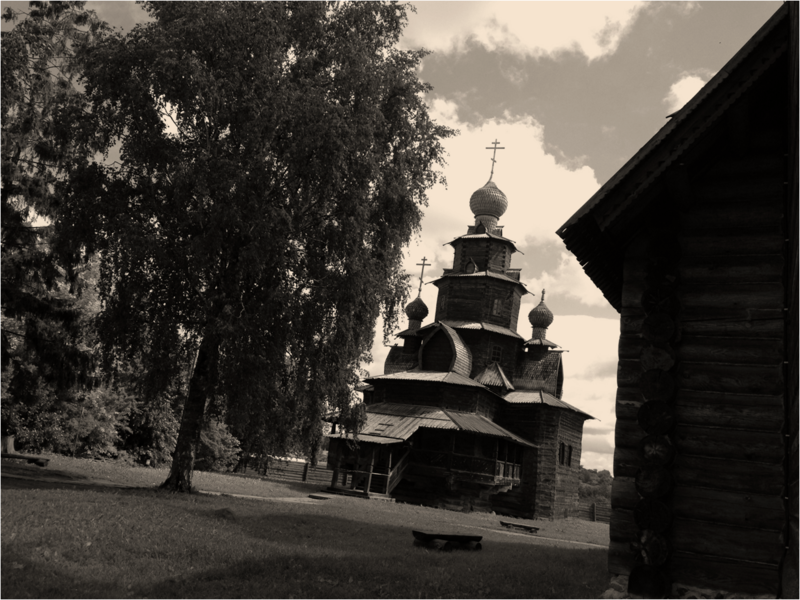 Above: Saint Euthymius Monastery, Suzdal, Russia. Above: Detail of ceiling at Trinity Church in Vladimir, Russia. 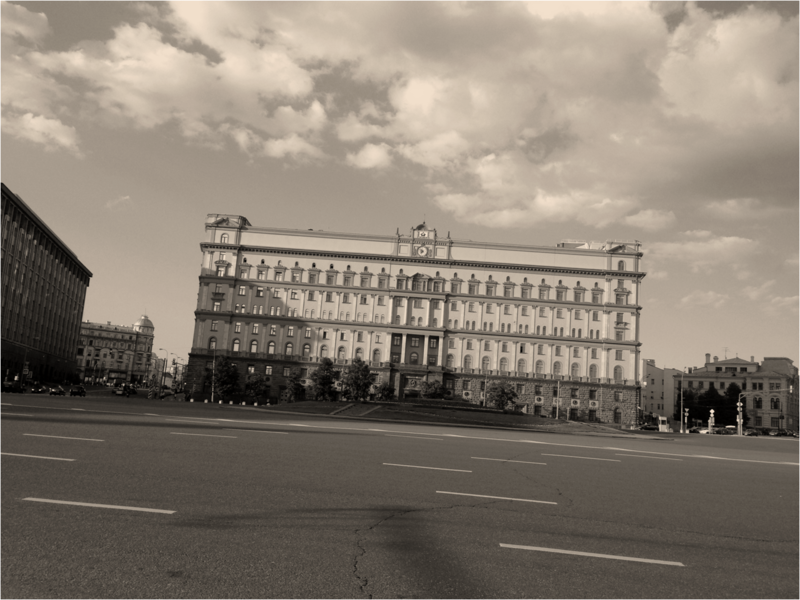 Above: The Former KGB building in Moscow. 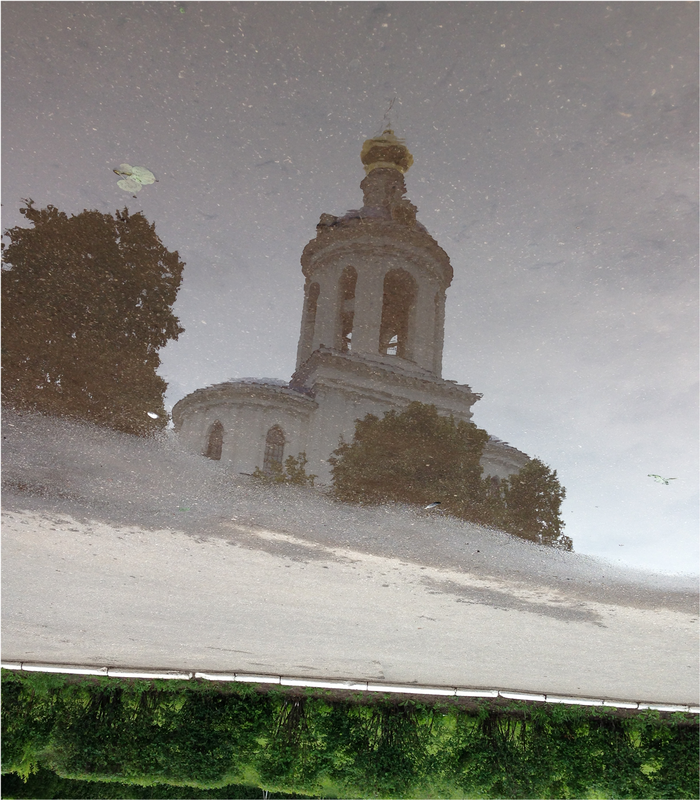 Above: Water reflection of Convent Bogolyubovo in the Vladimir region, Russia. 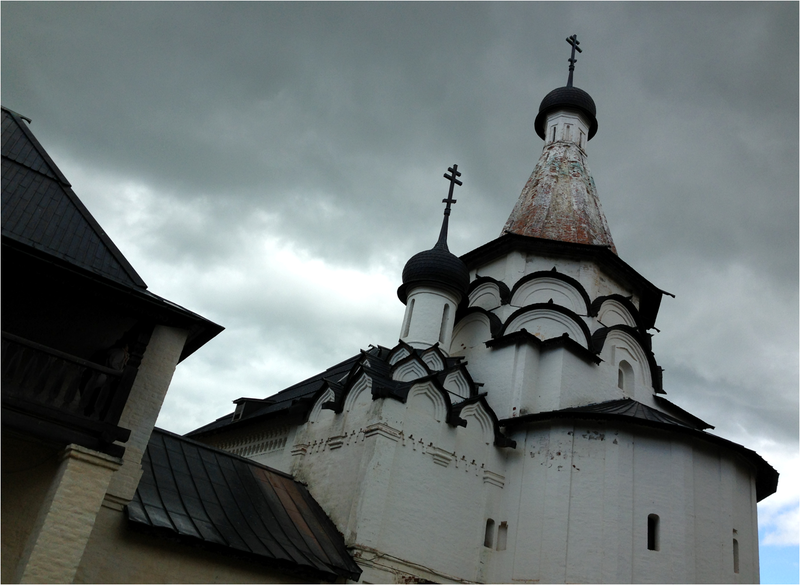 Above: Old Village in the town of Suzdal, Russia. 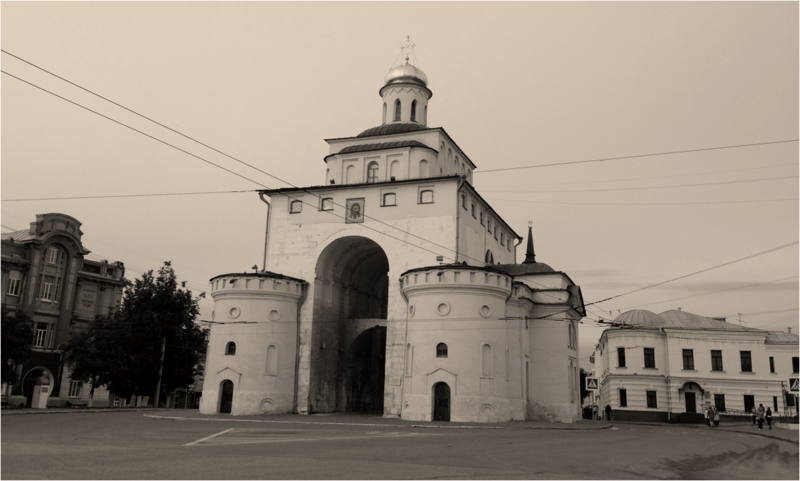 Above: Golden Gate, Vladimir, Russia. 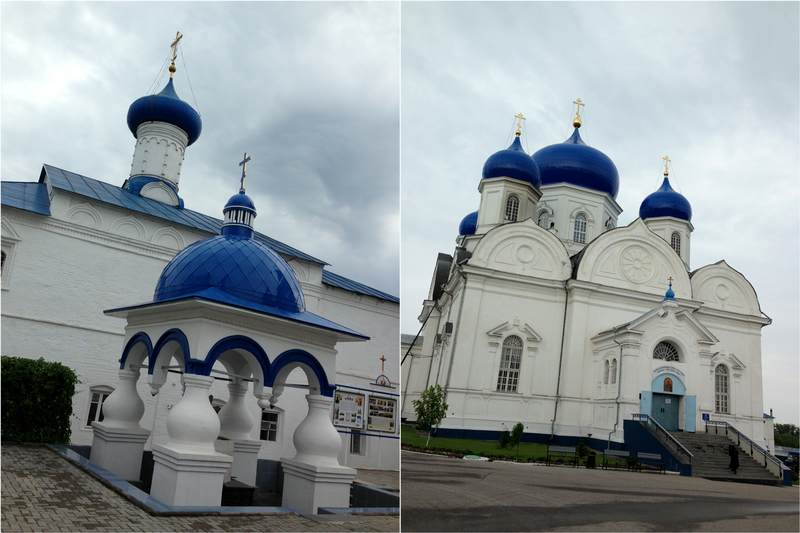 Above: Church of The Transfiguration, Suzdal, Russia. 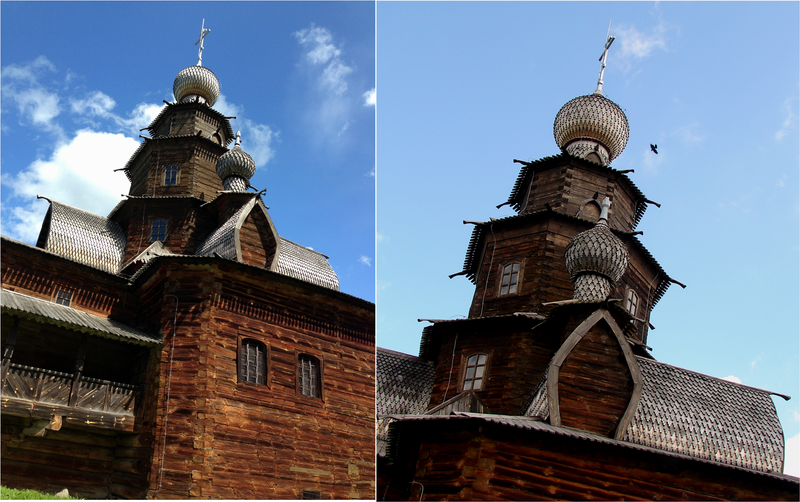 Above: The Church of The Transfiguration is completely built on wood, Suzdal, Russia. 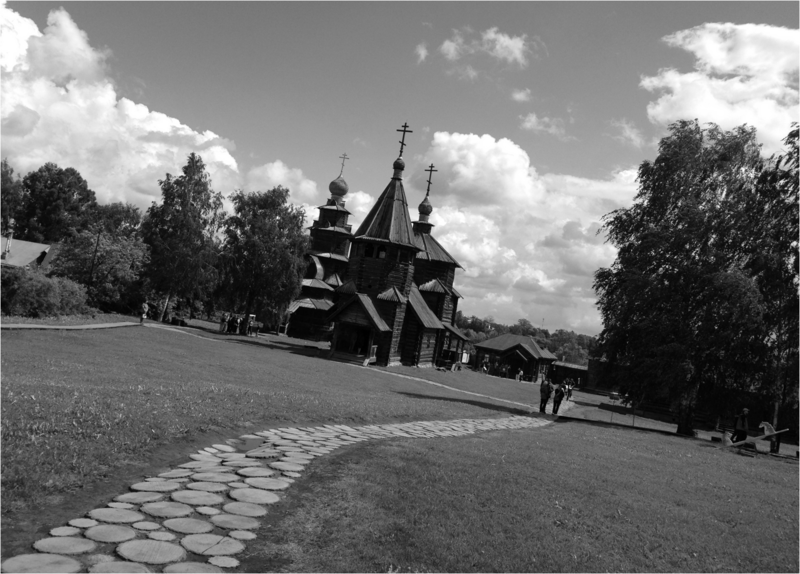 Above: Convent Bogolyubovo, Vladimir region, Russia. 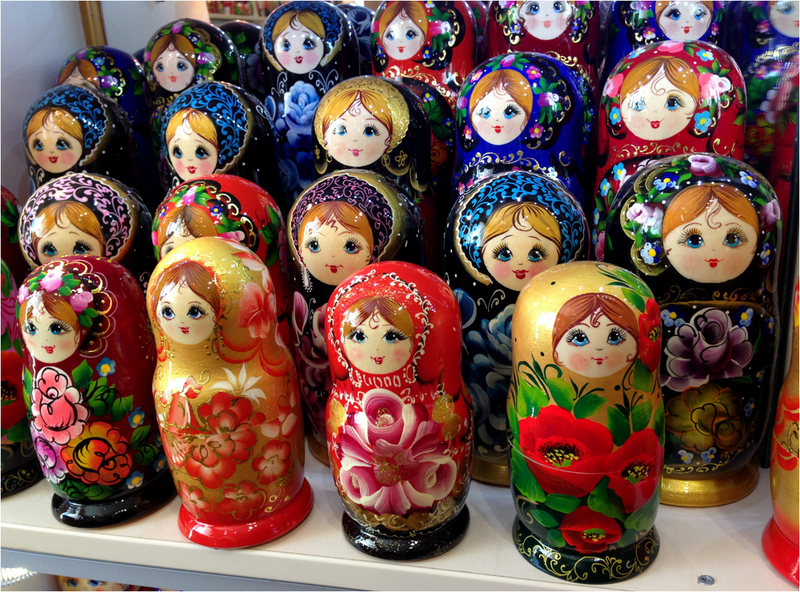 Above: Matryoshkas in color, St. Petersburg. 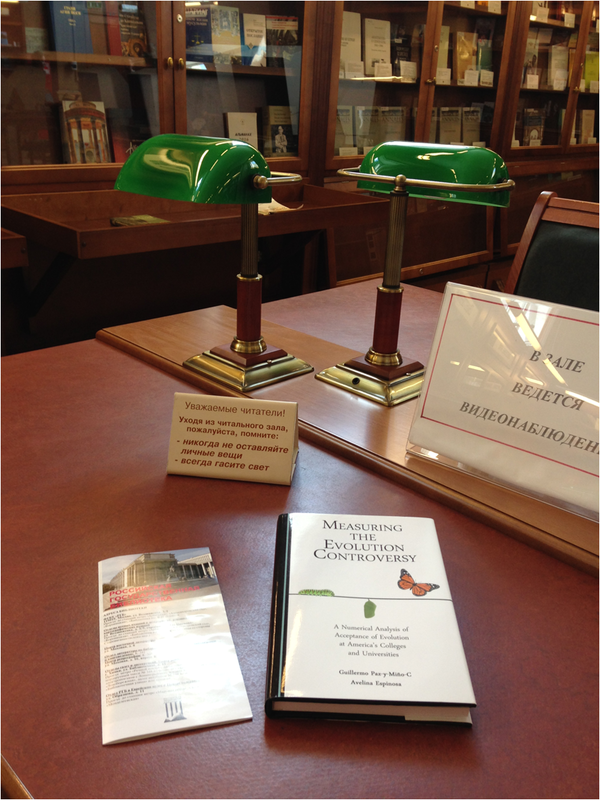 Above: Our book, Measuring the Evolution Controversy, enjoying a visit to one of the reading rooms at the Russian State Library in Moscow.